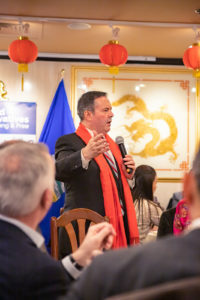 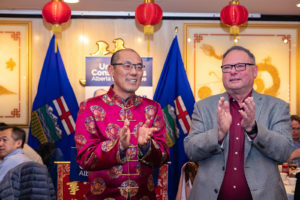 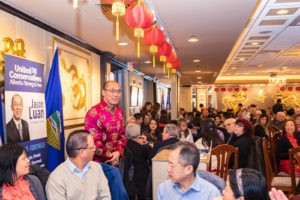 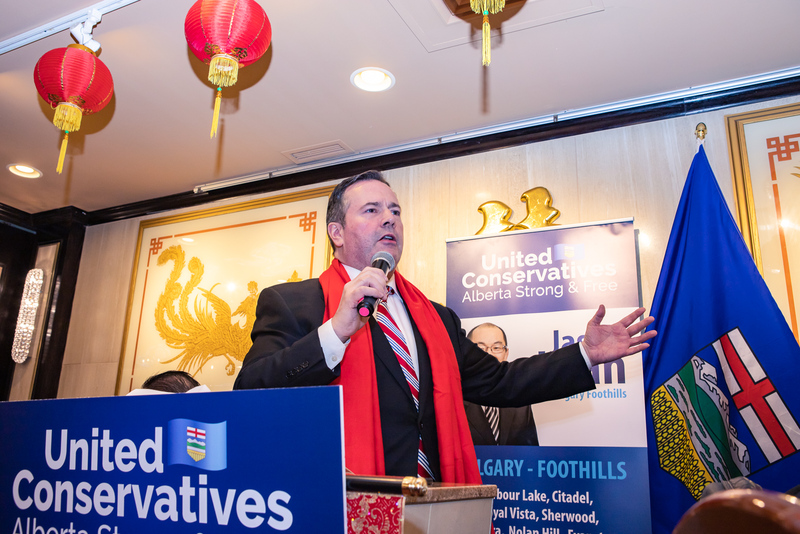 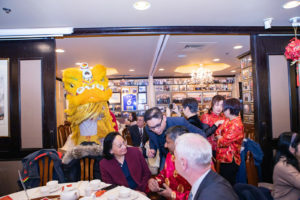 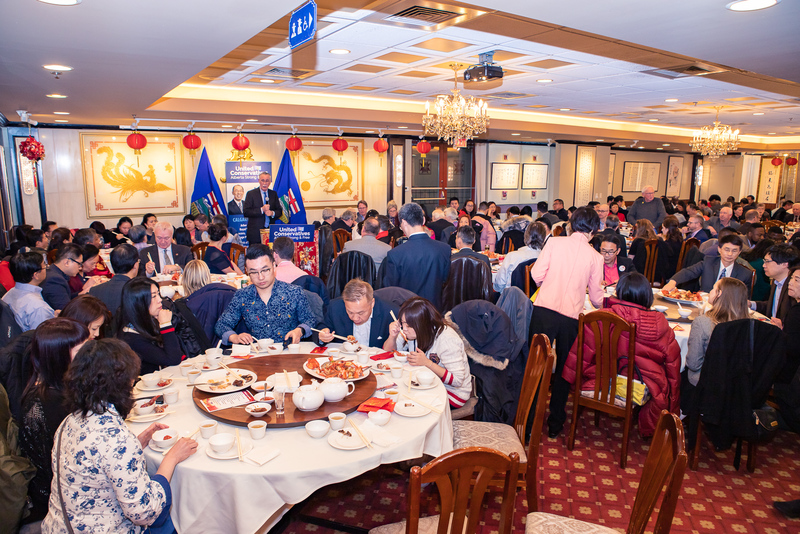 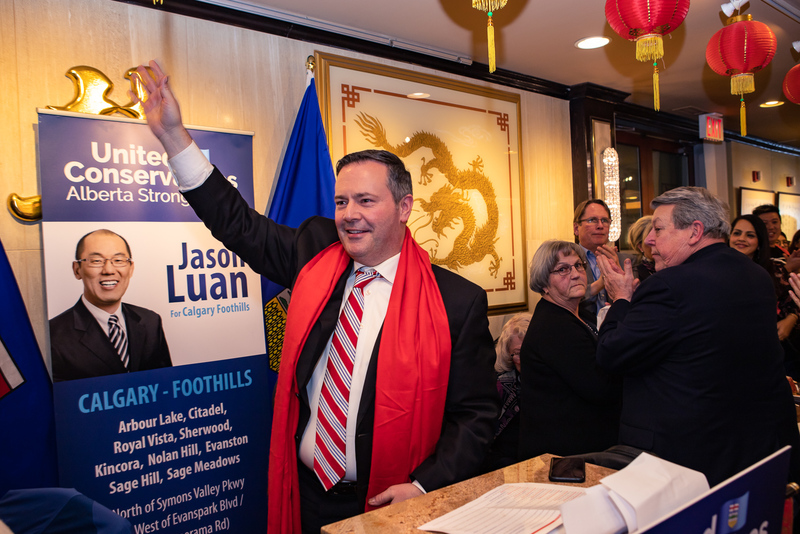 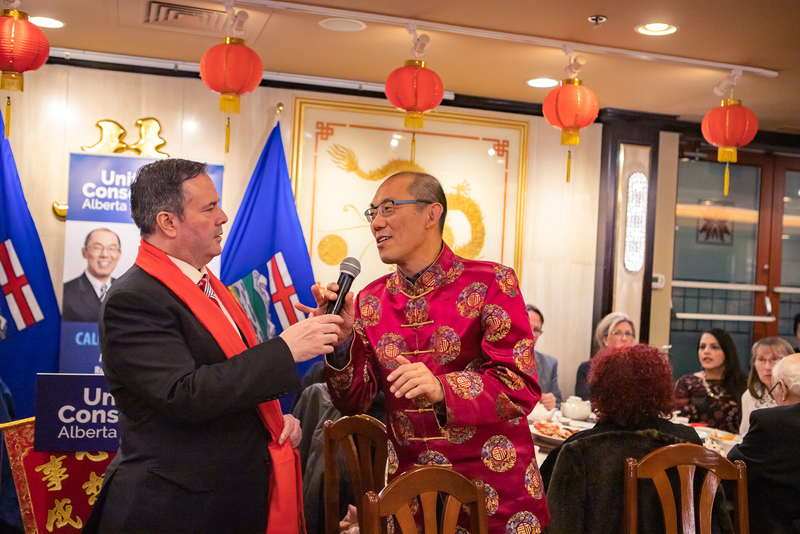 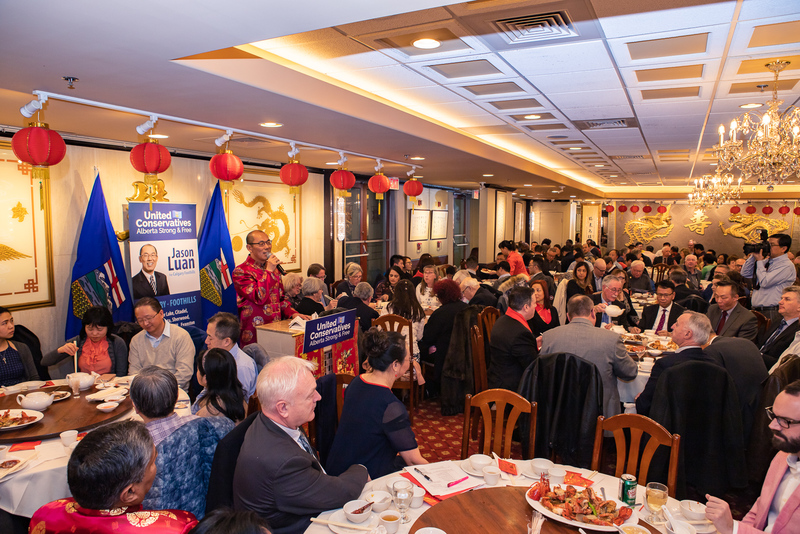 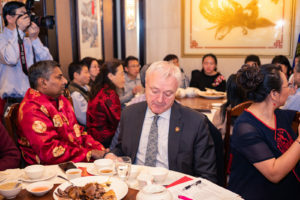 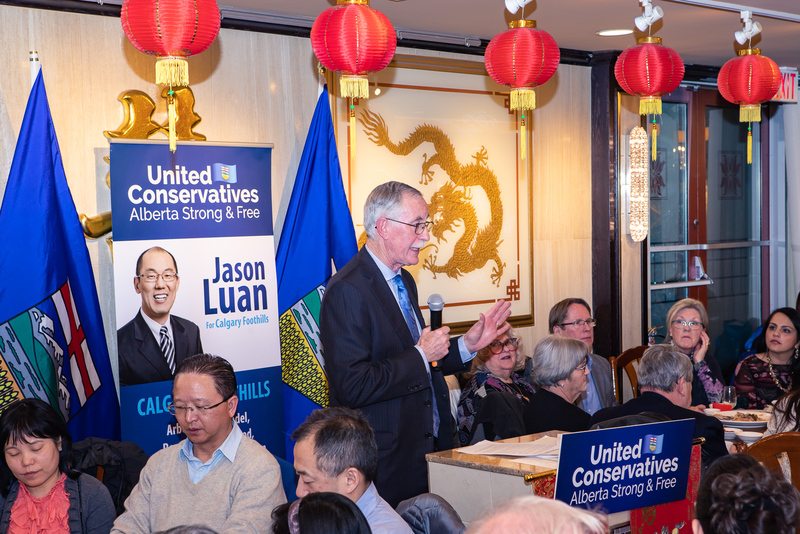 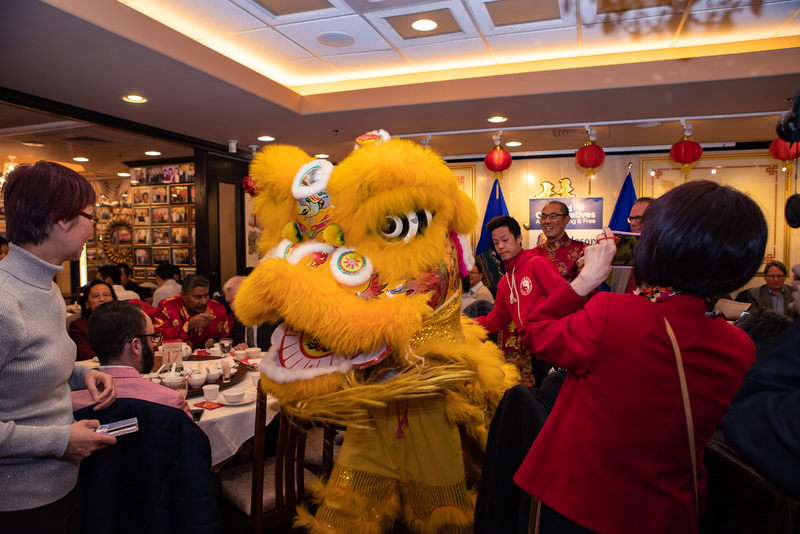 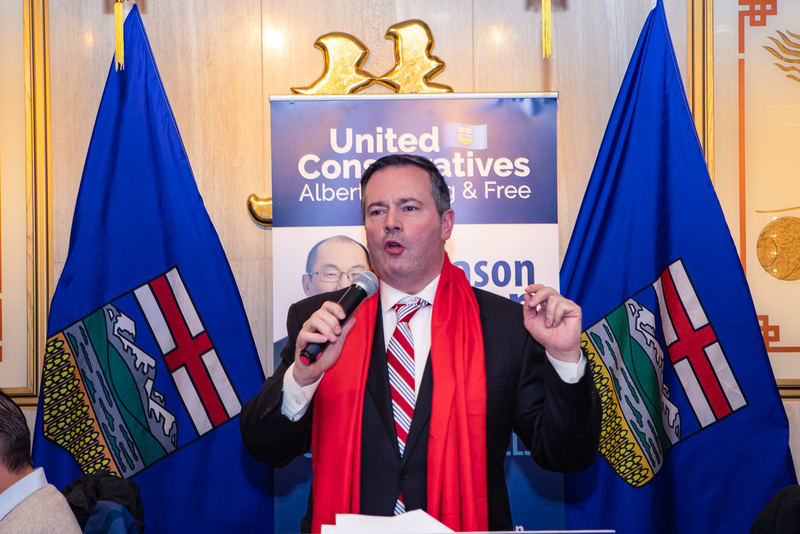 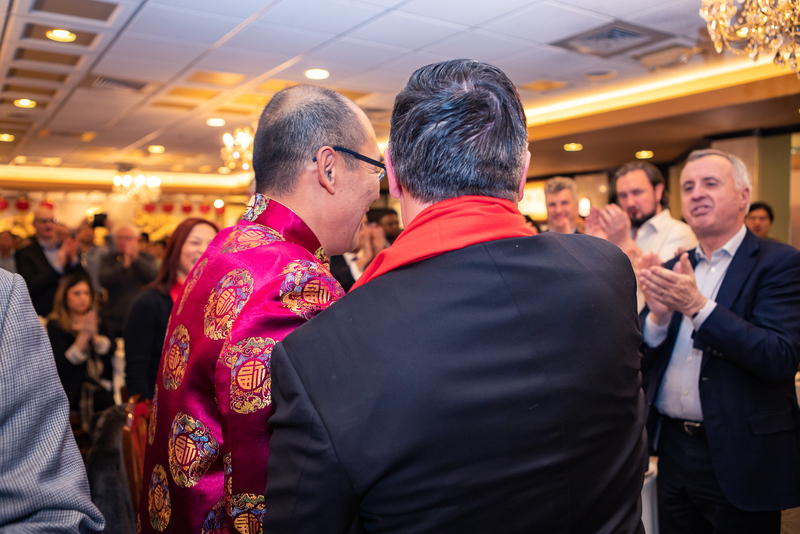 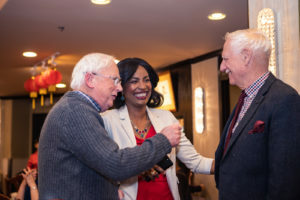 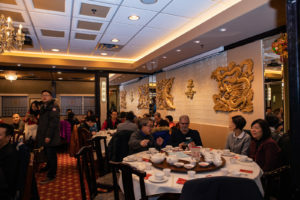 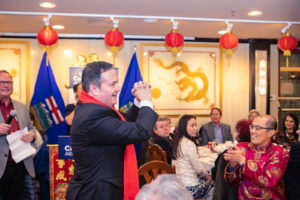 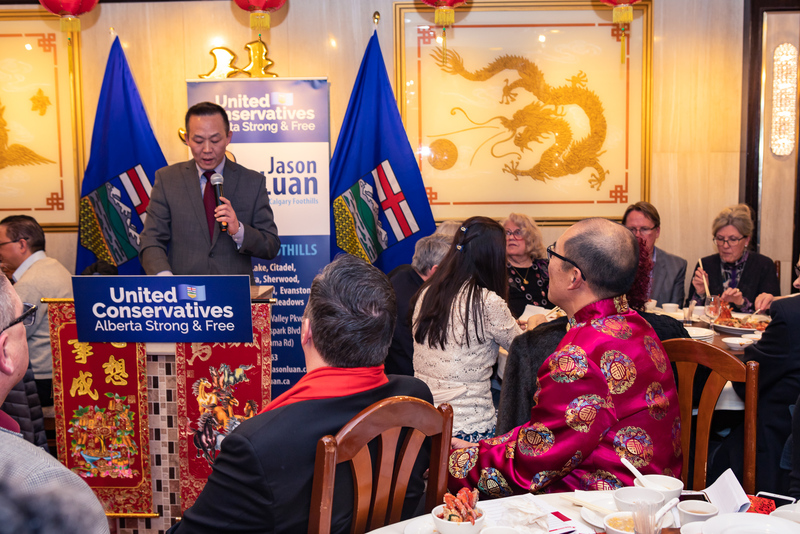 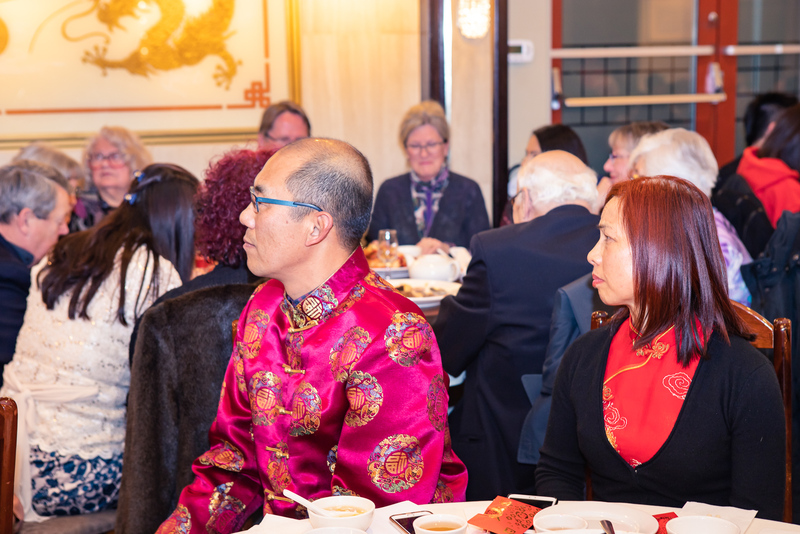 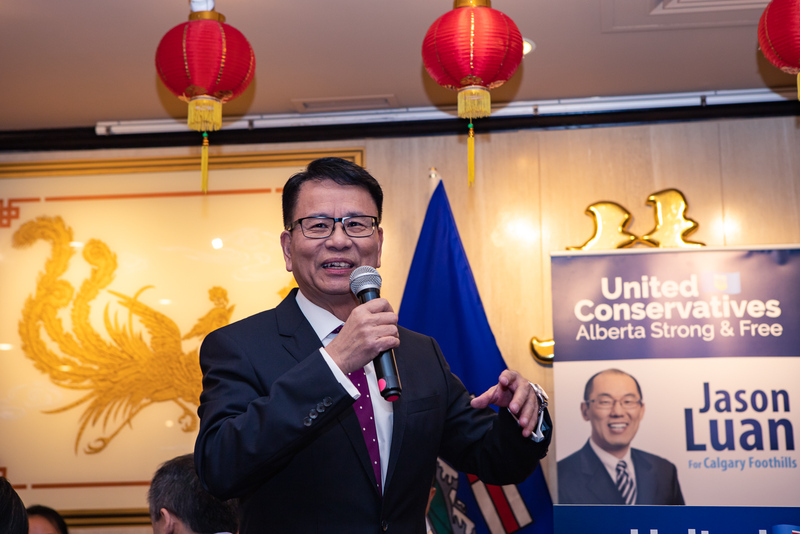 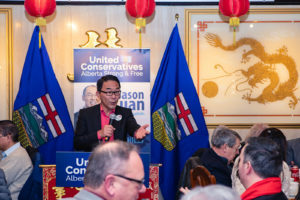 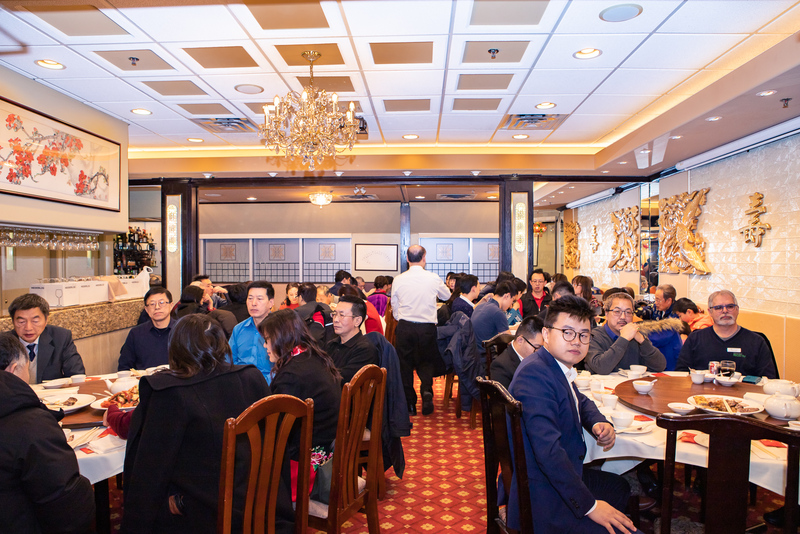 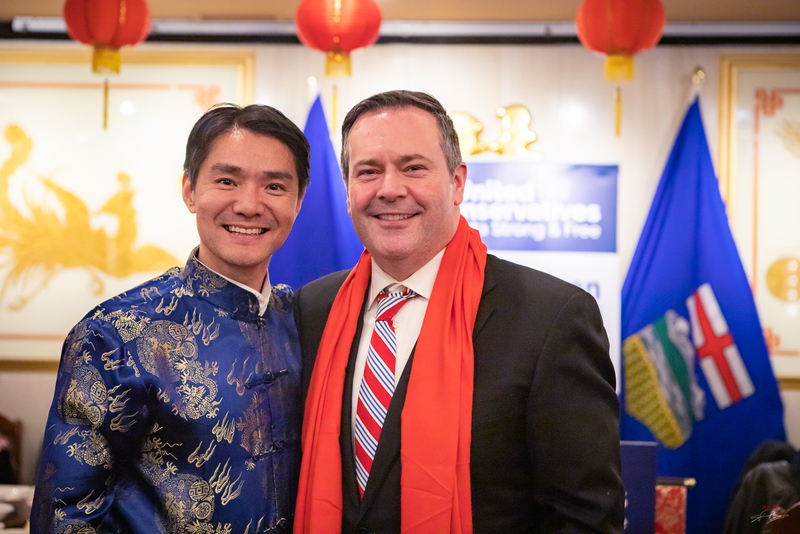 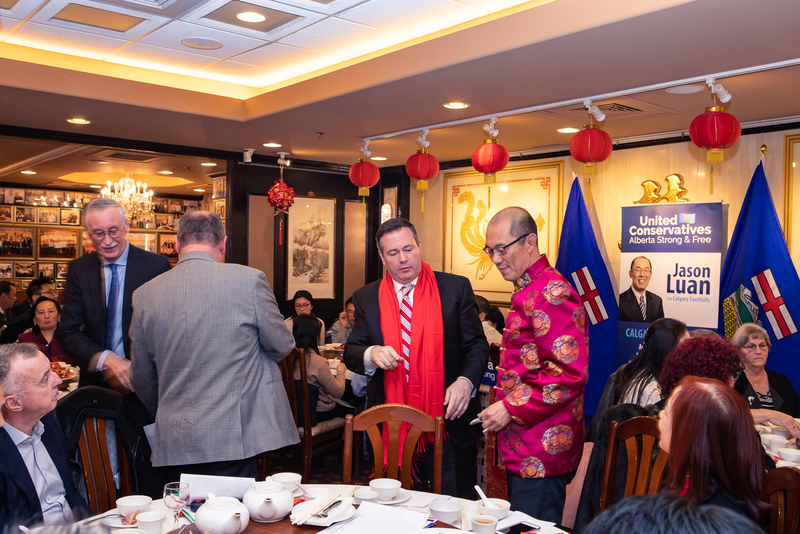 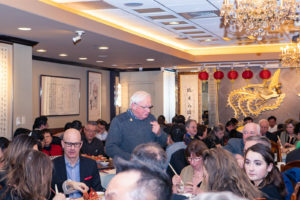 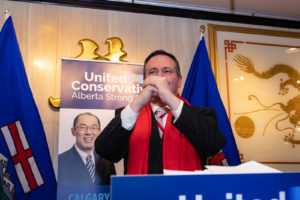 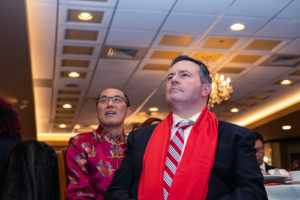 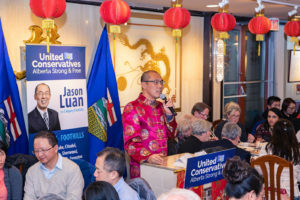 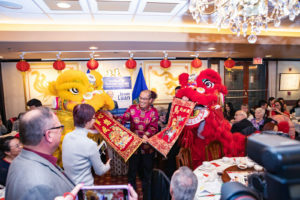 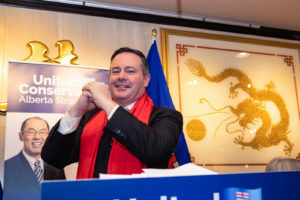 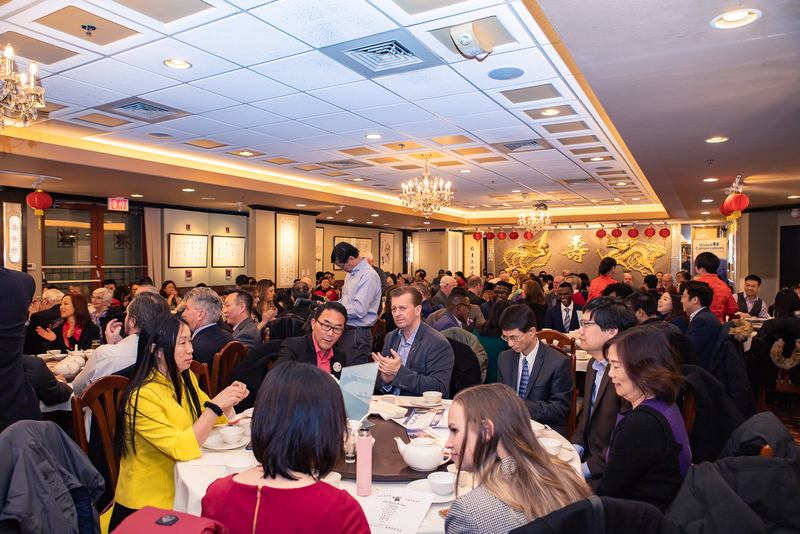 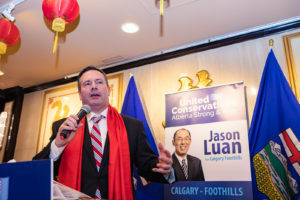 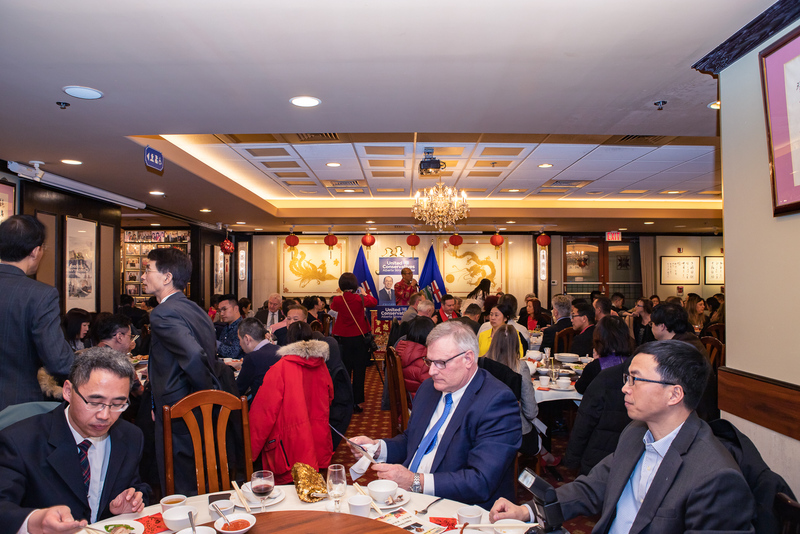 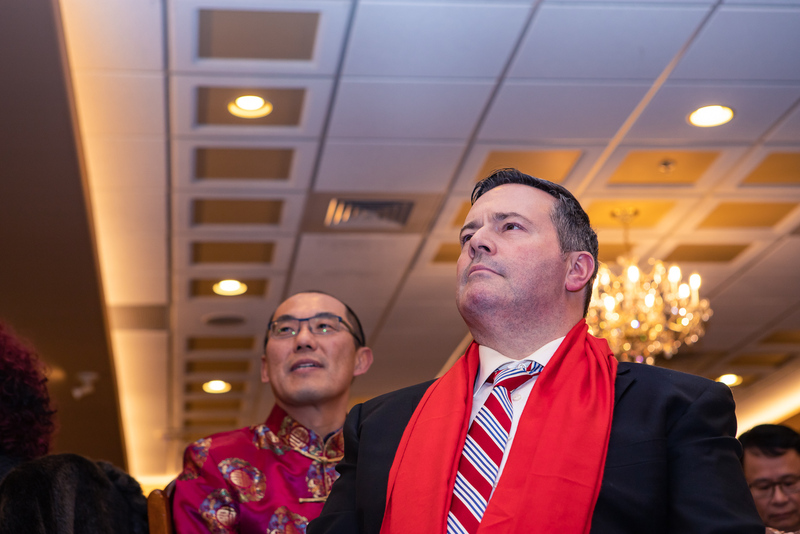 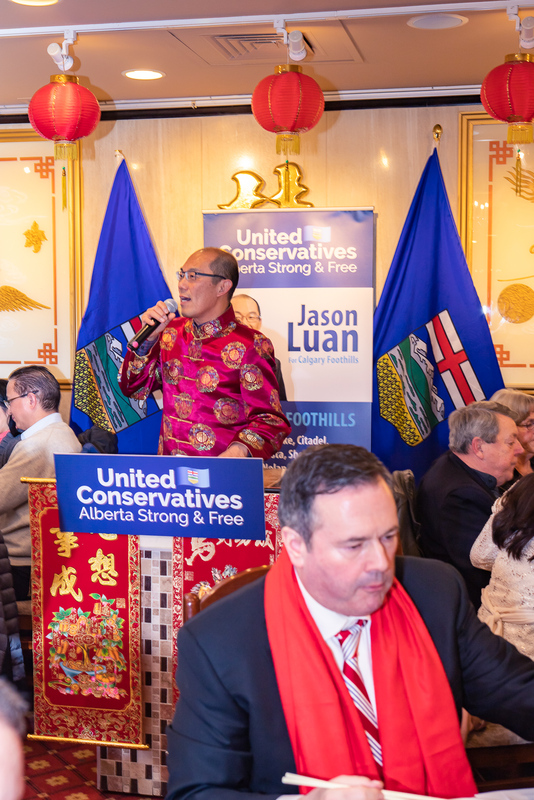 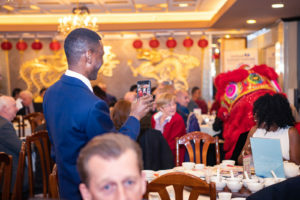 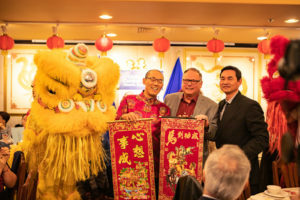 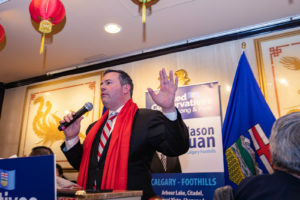 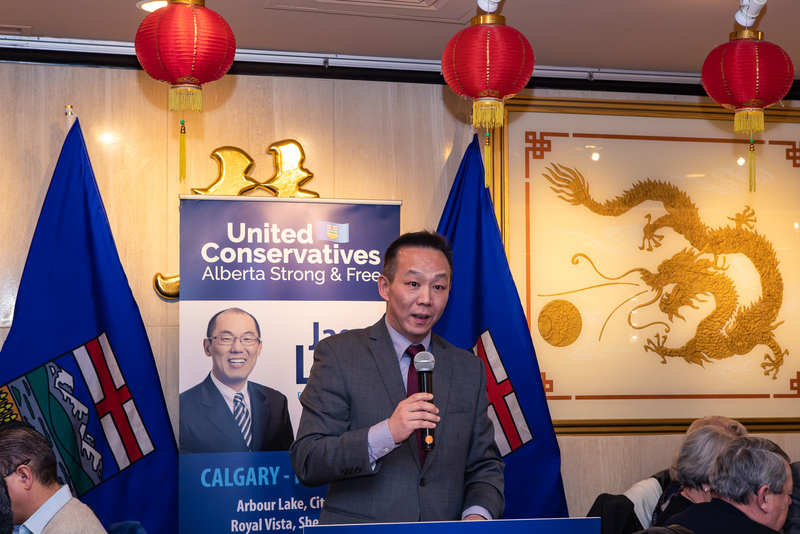 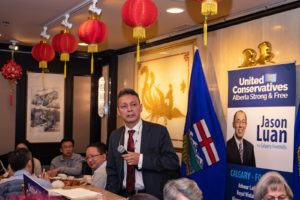 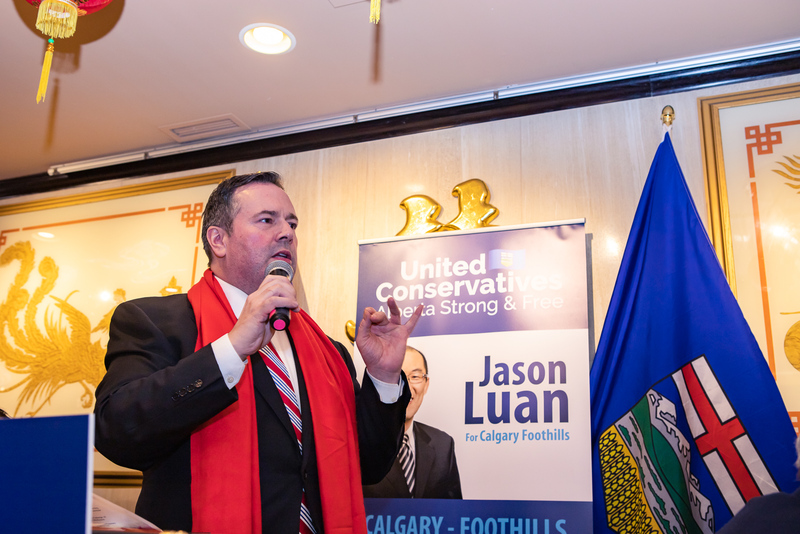 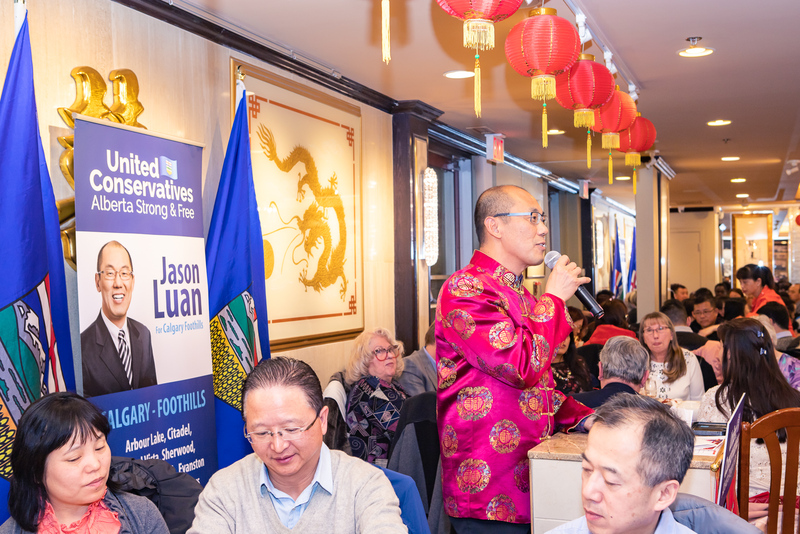 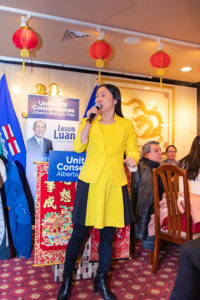 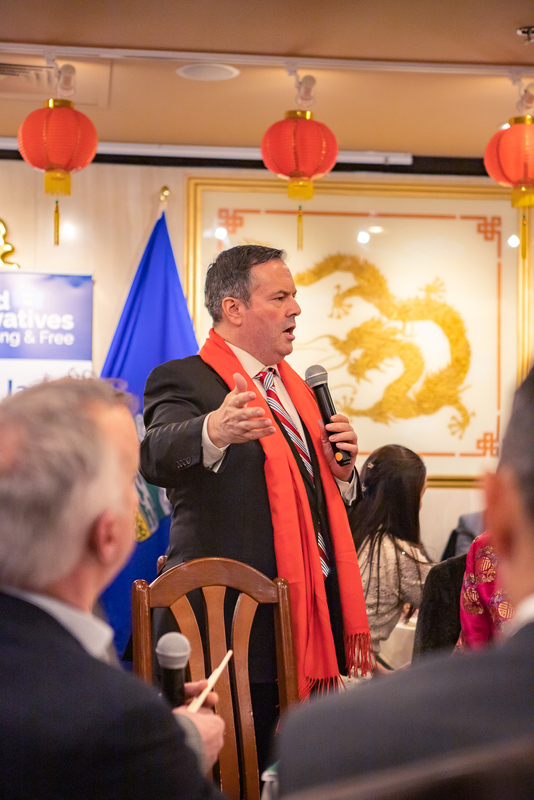 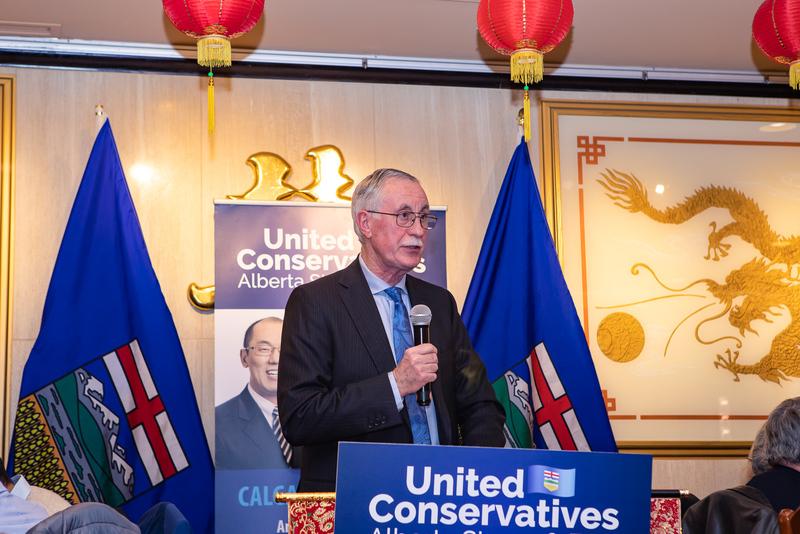 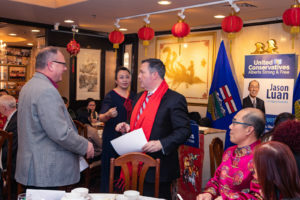 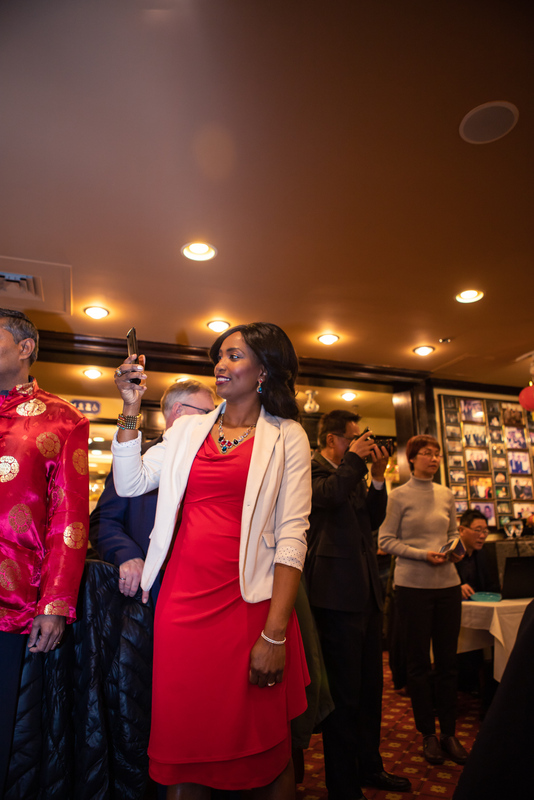 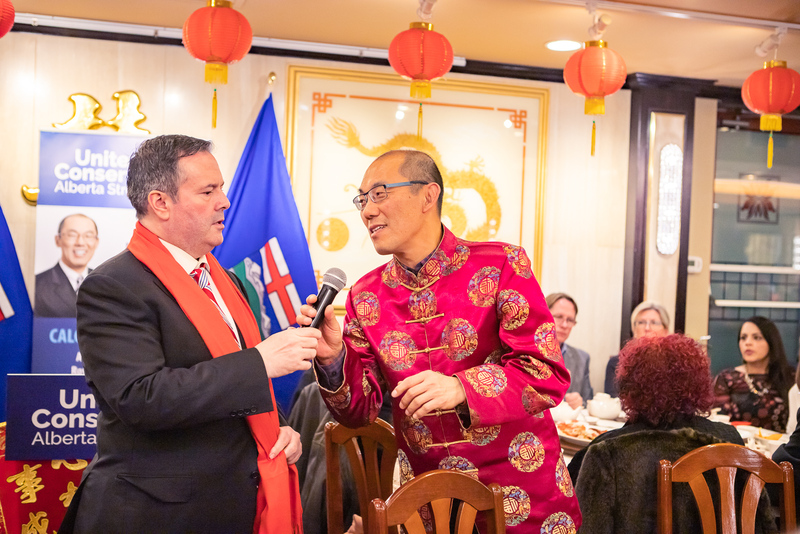 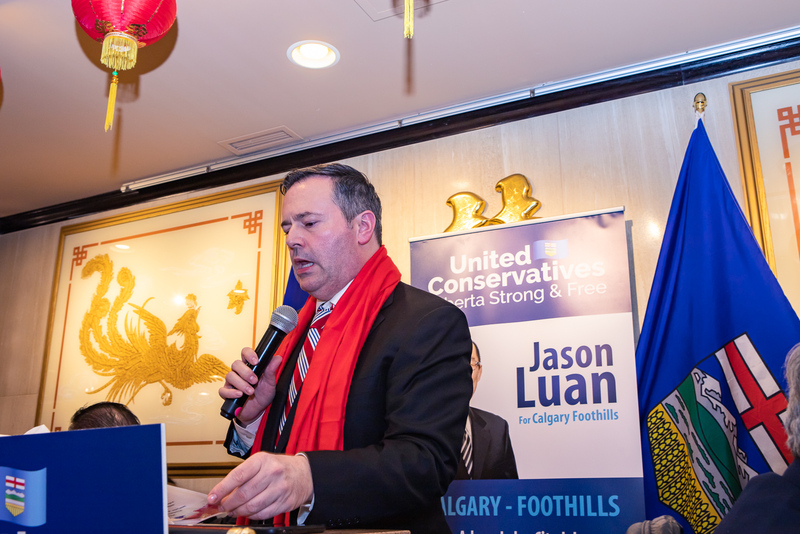 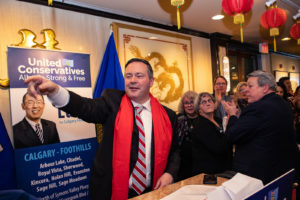 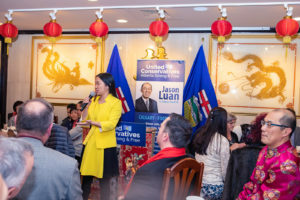 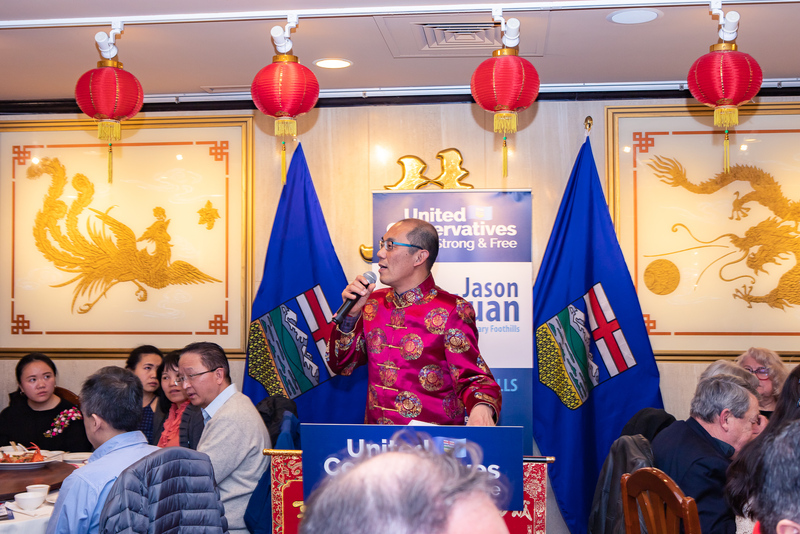 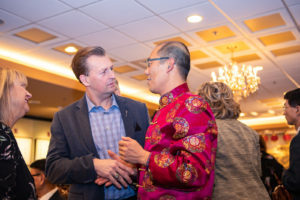 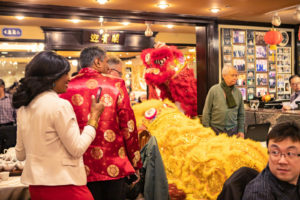 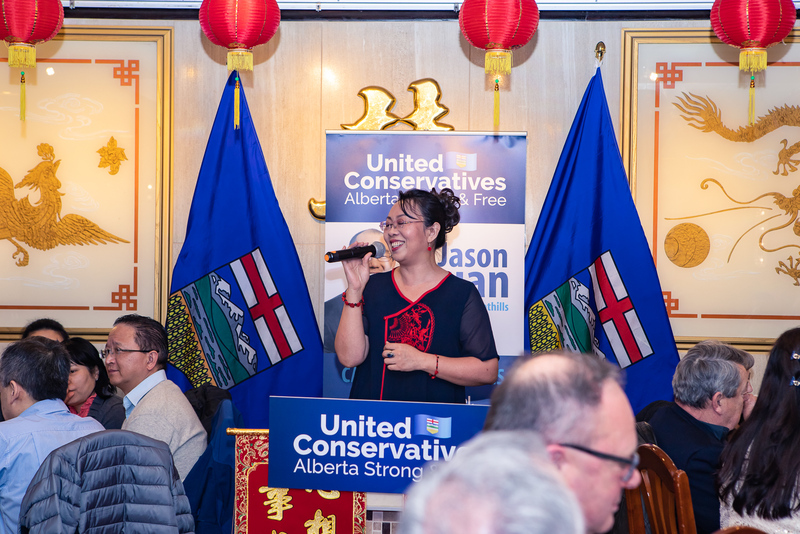 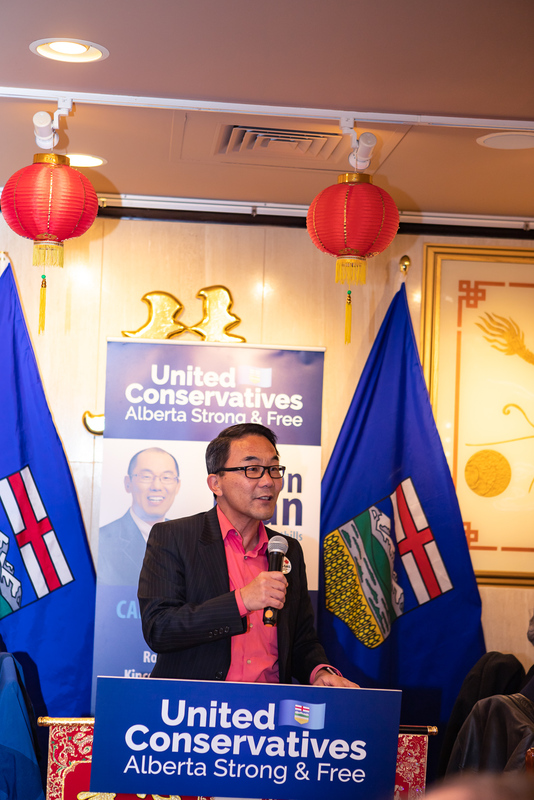 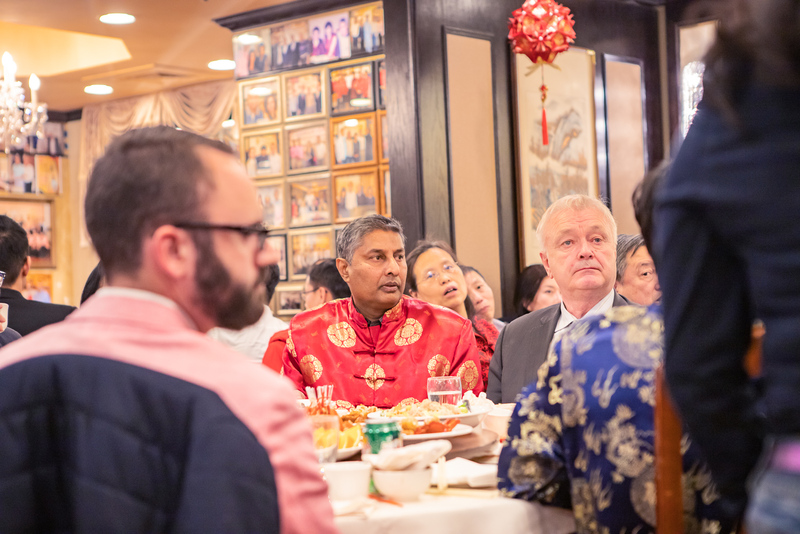 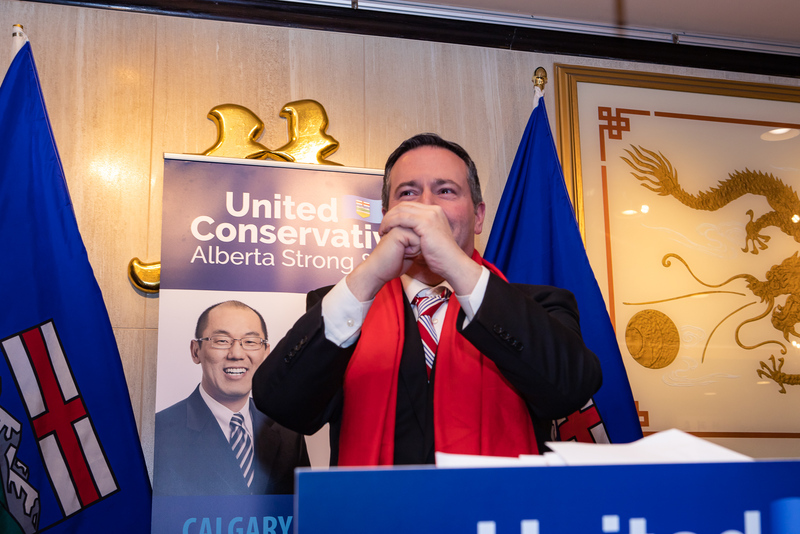 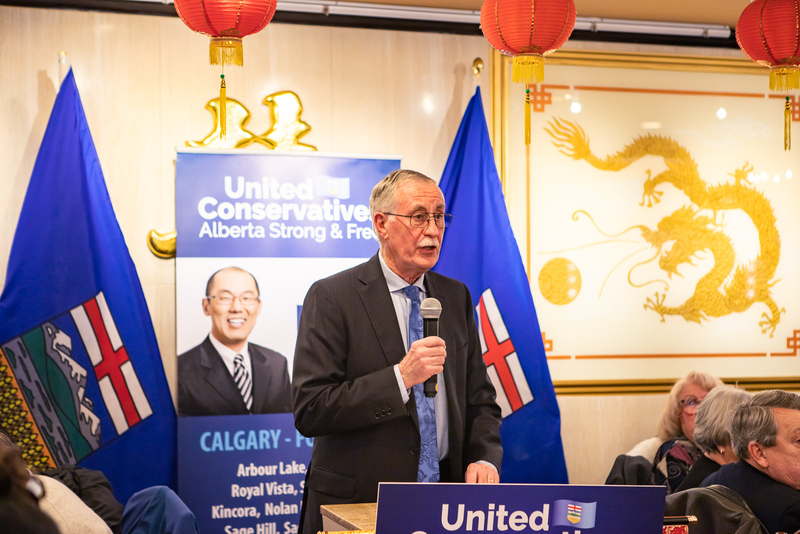 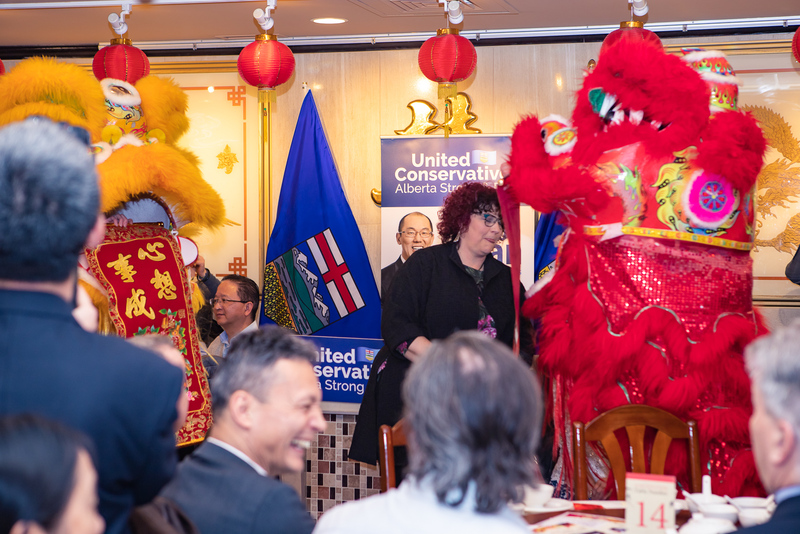 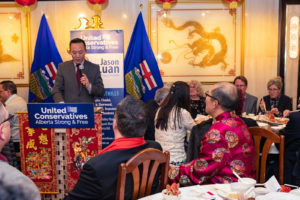 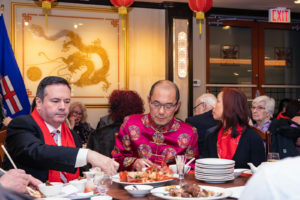 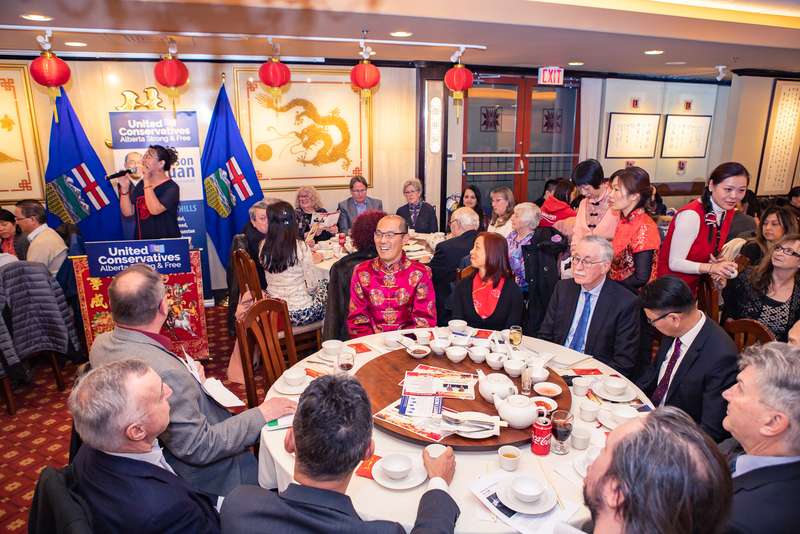 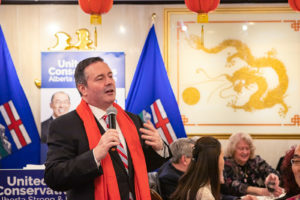 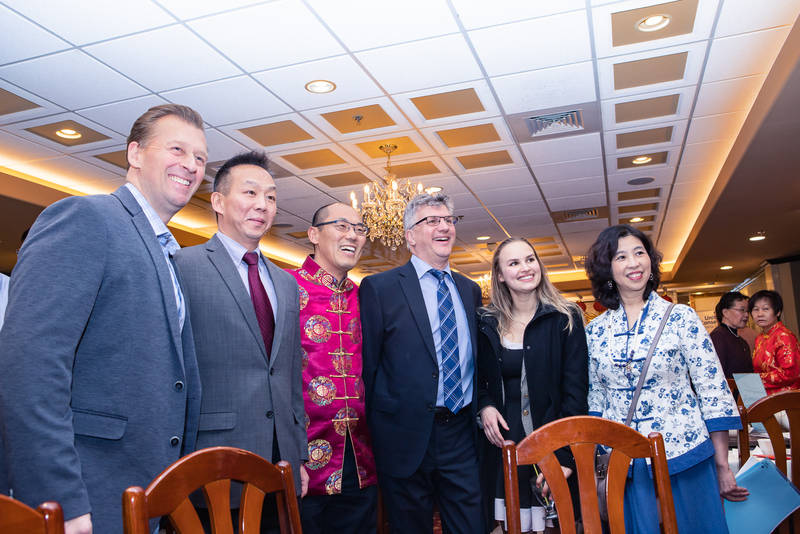 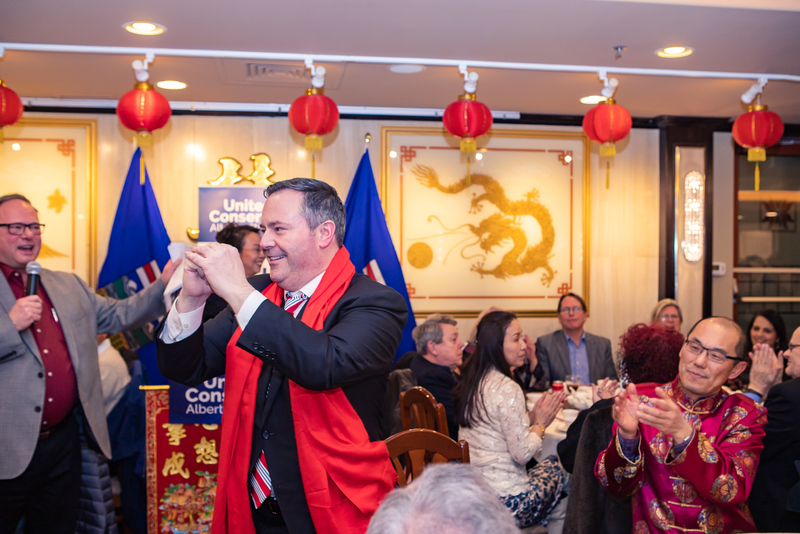 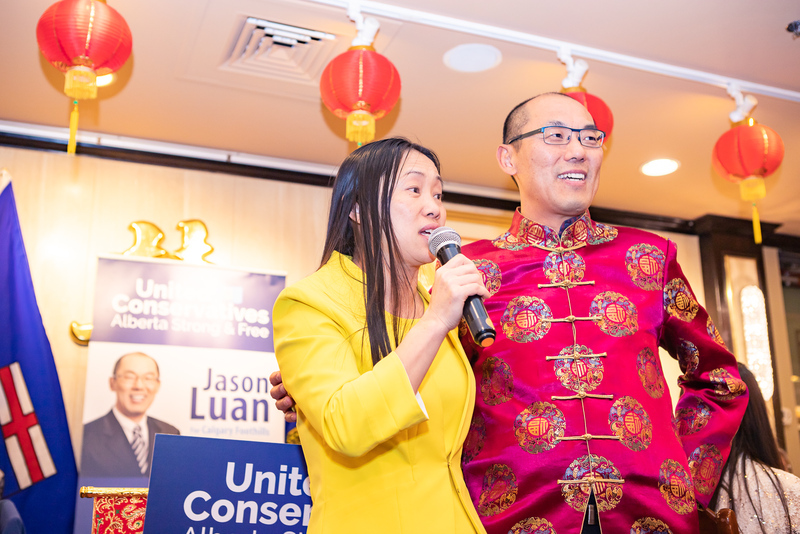 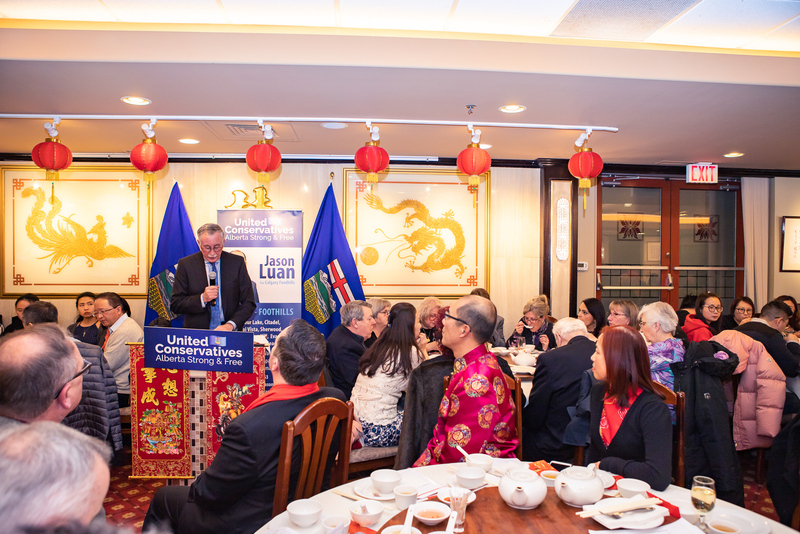 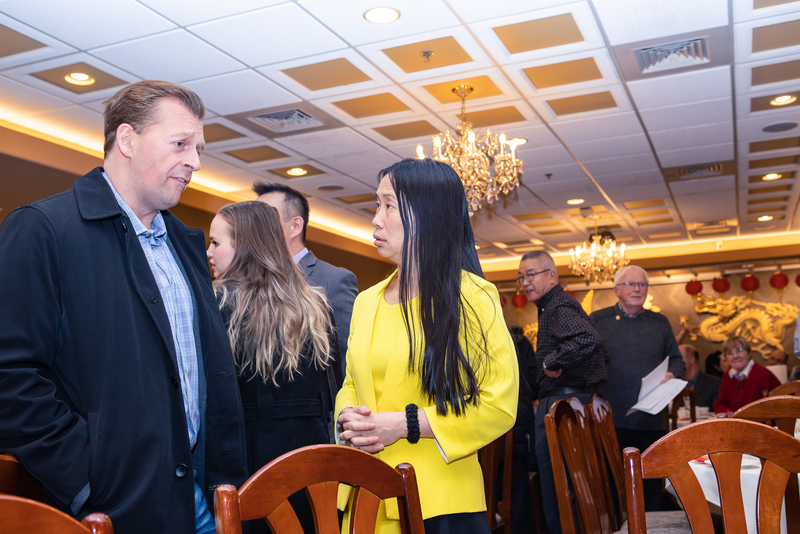 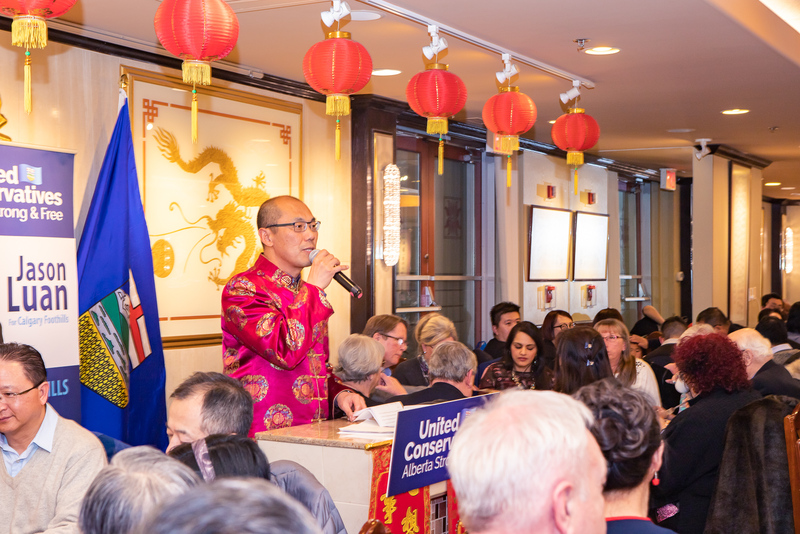 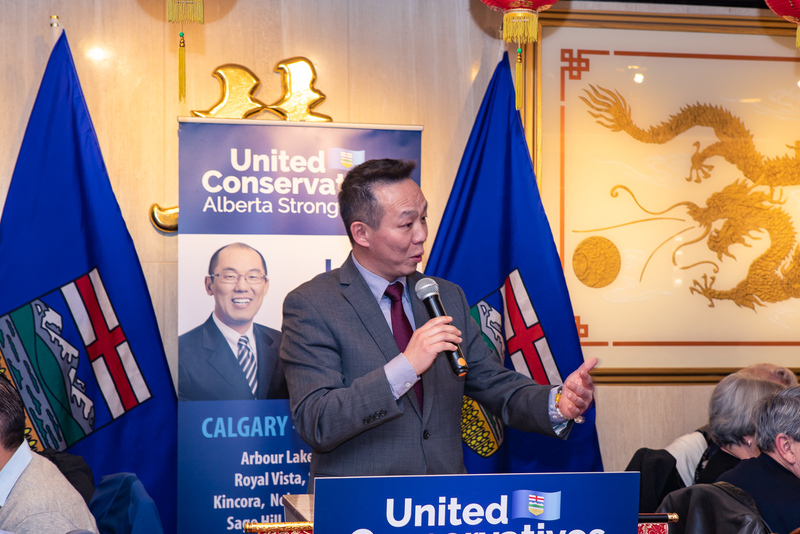 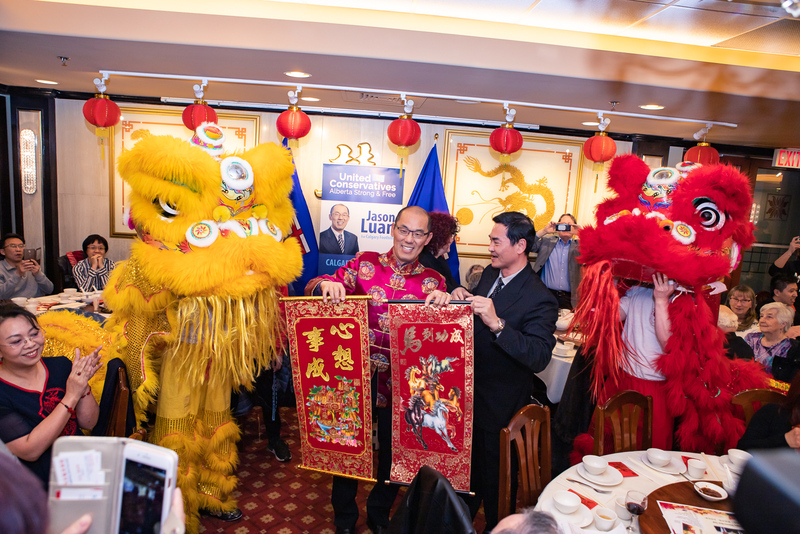 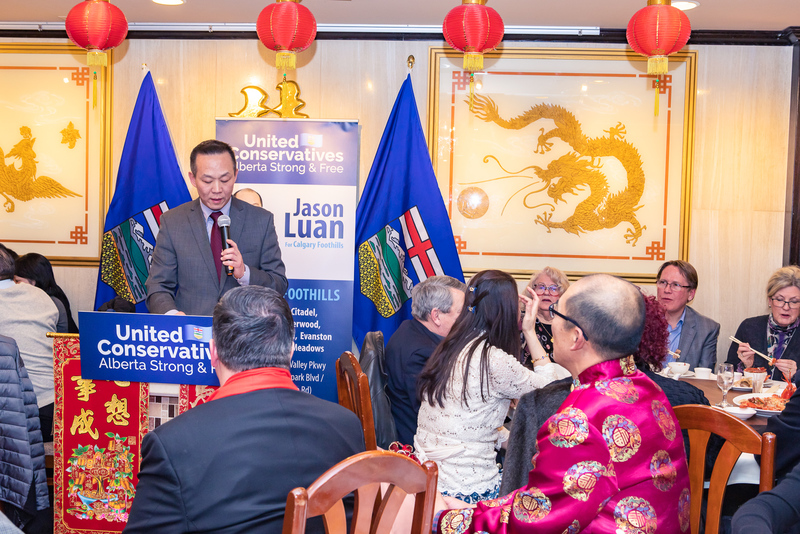 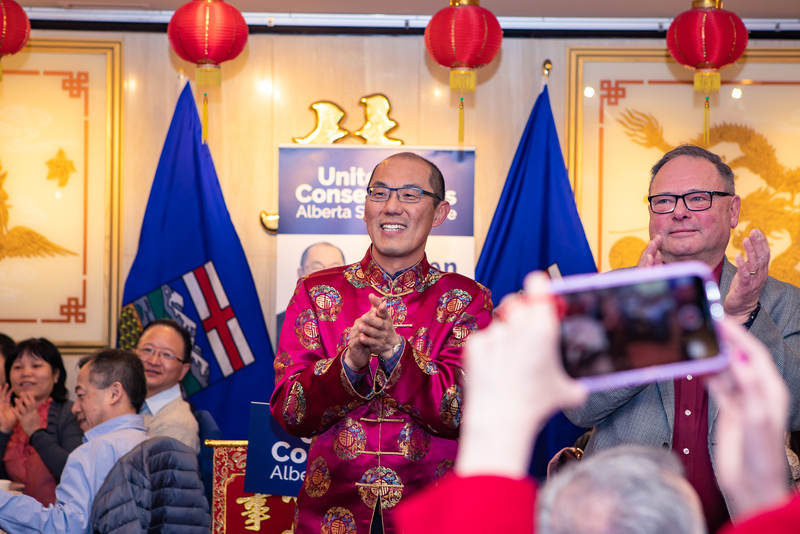 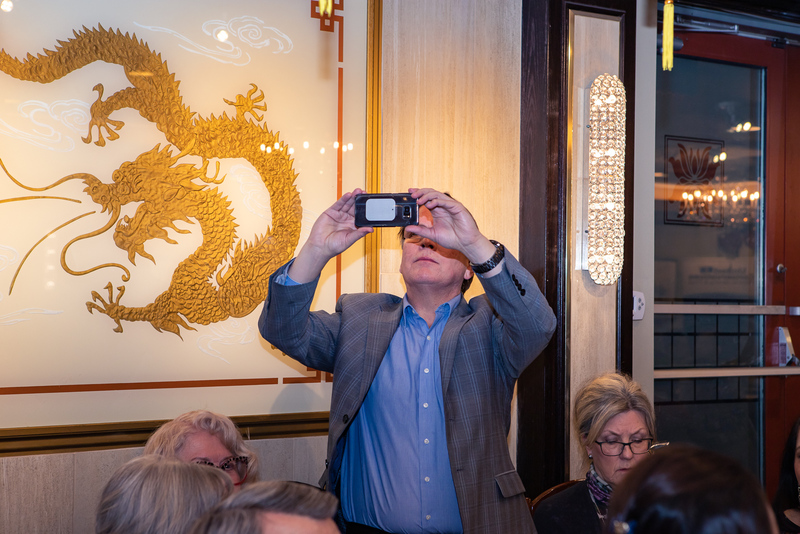 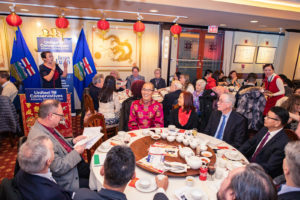 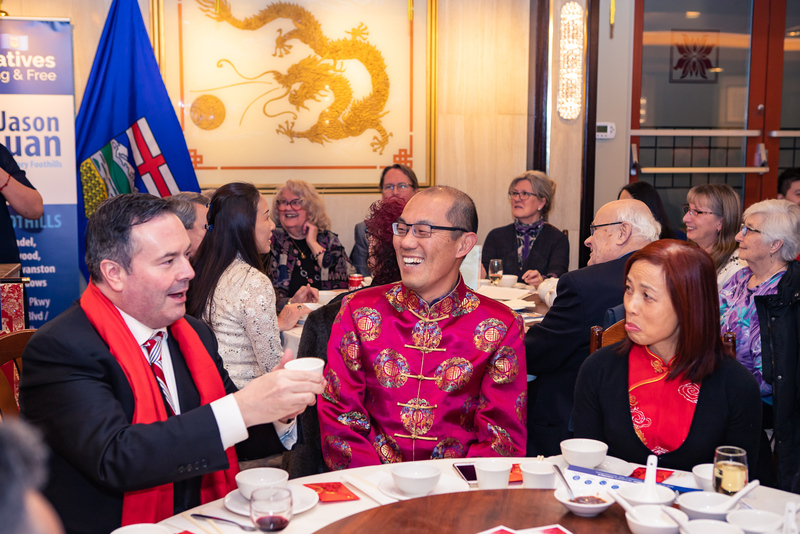 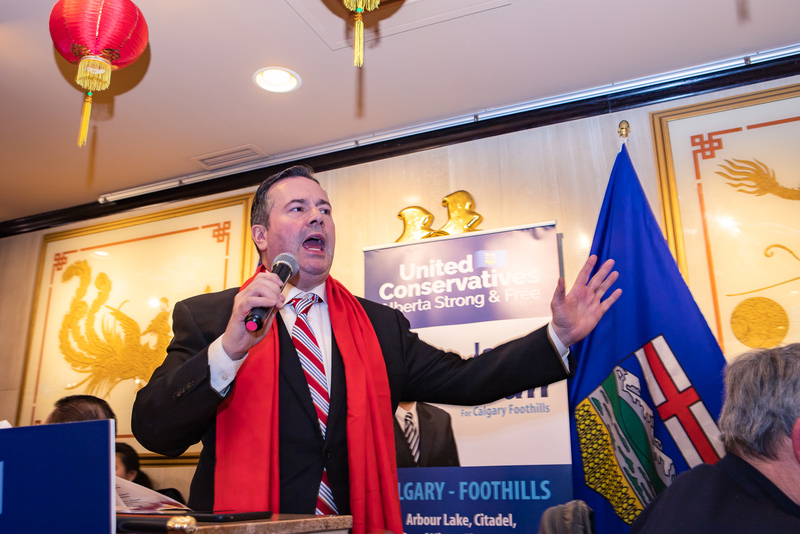 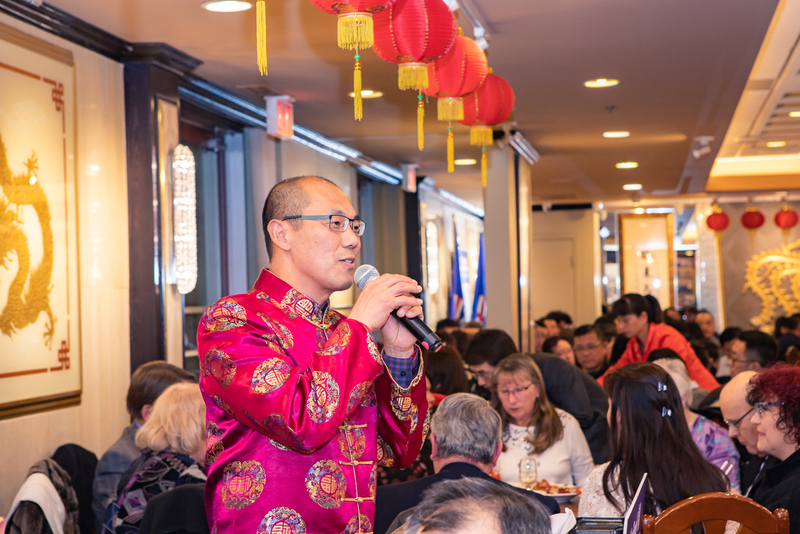 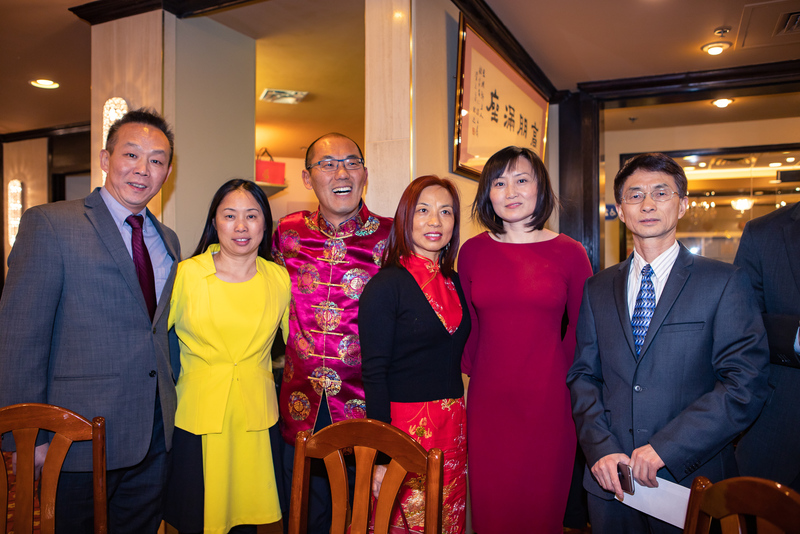 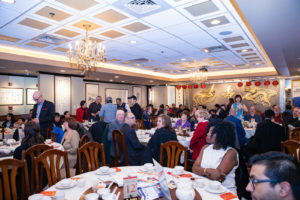 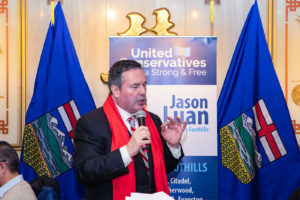 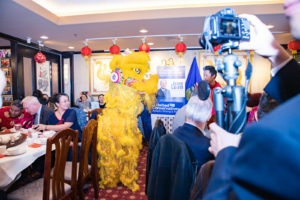 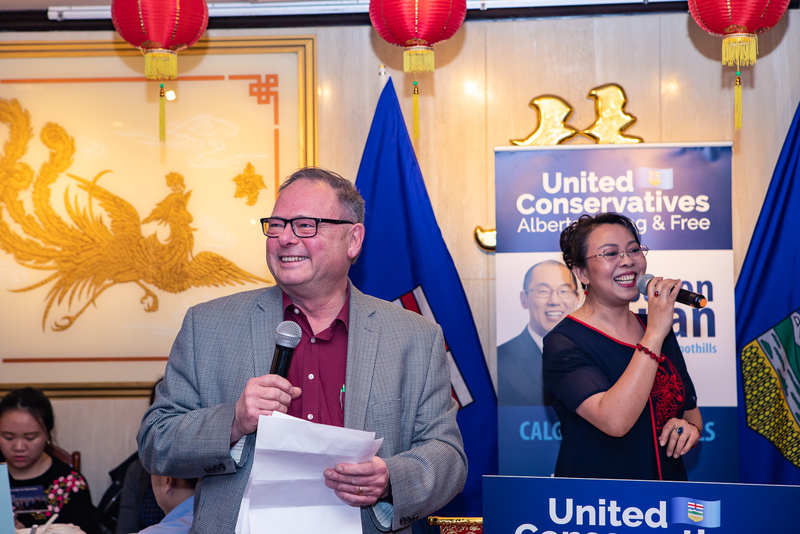 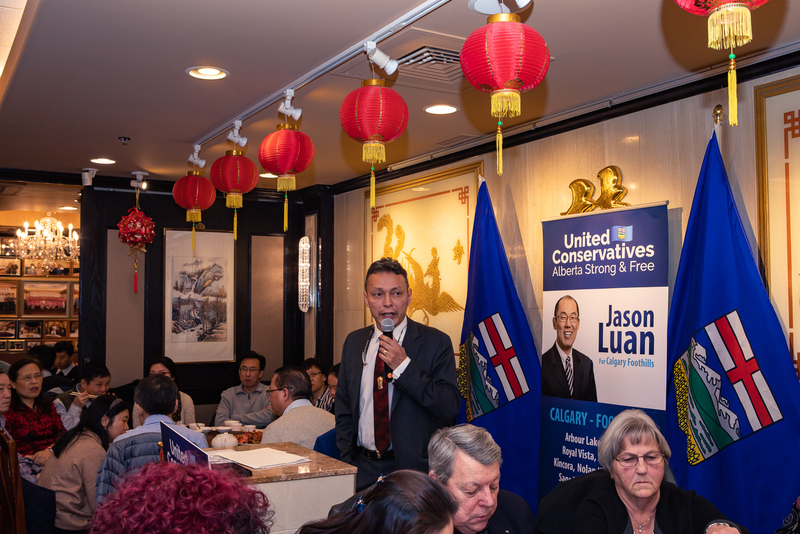 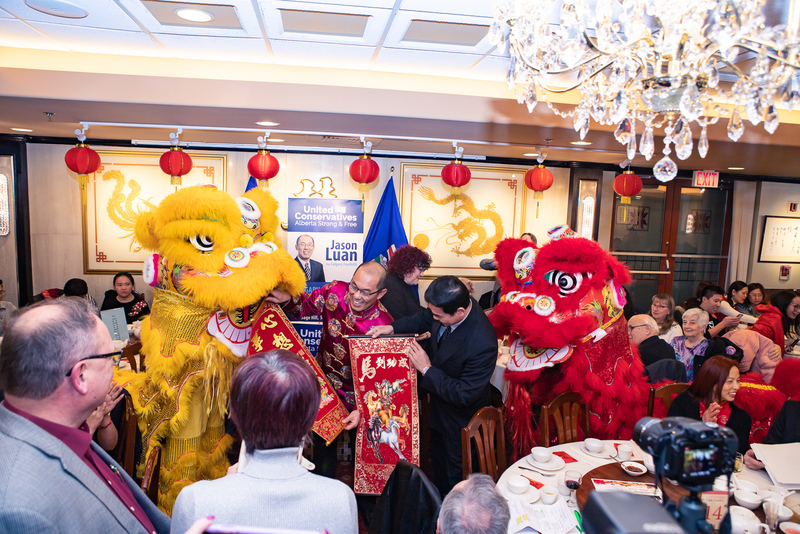 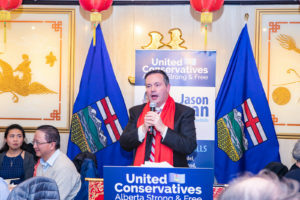 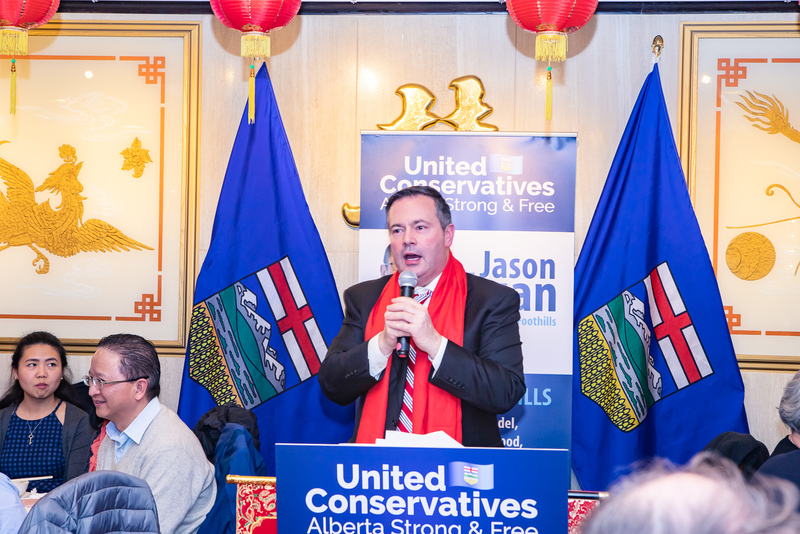 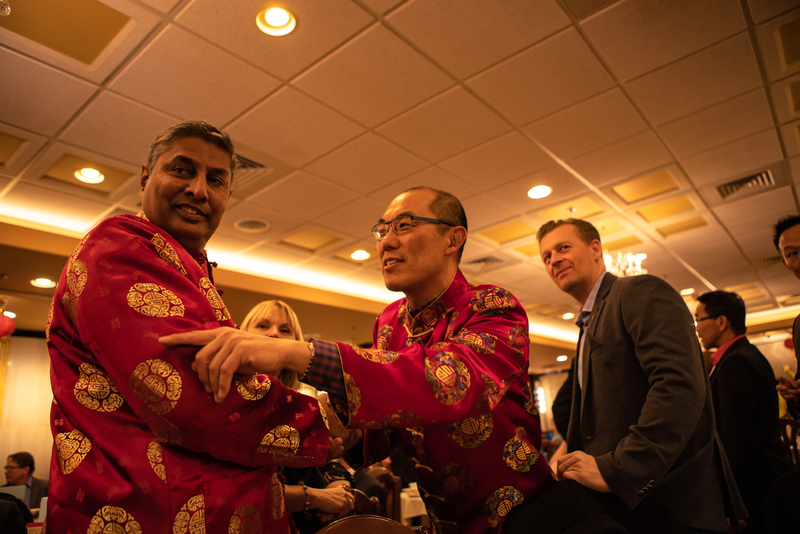 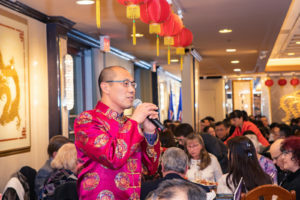 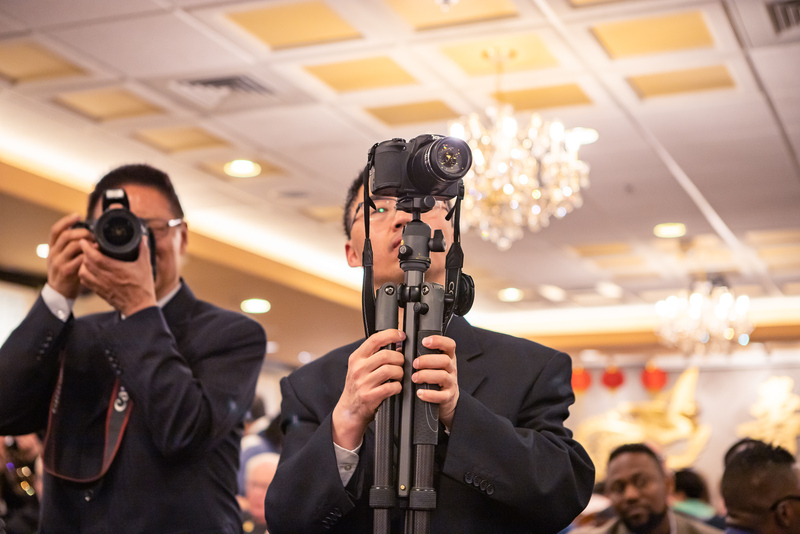 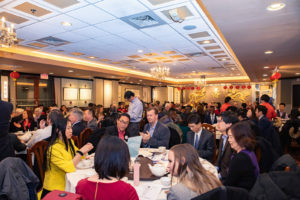 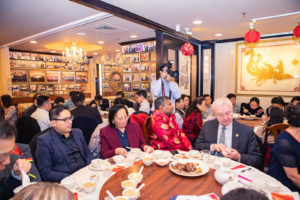 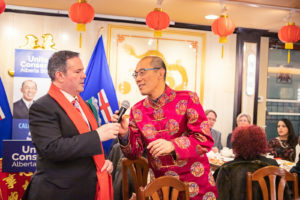 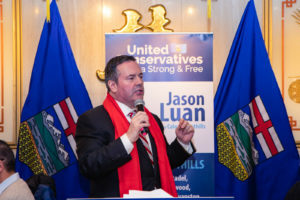 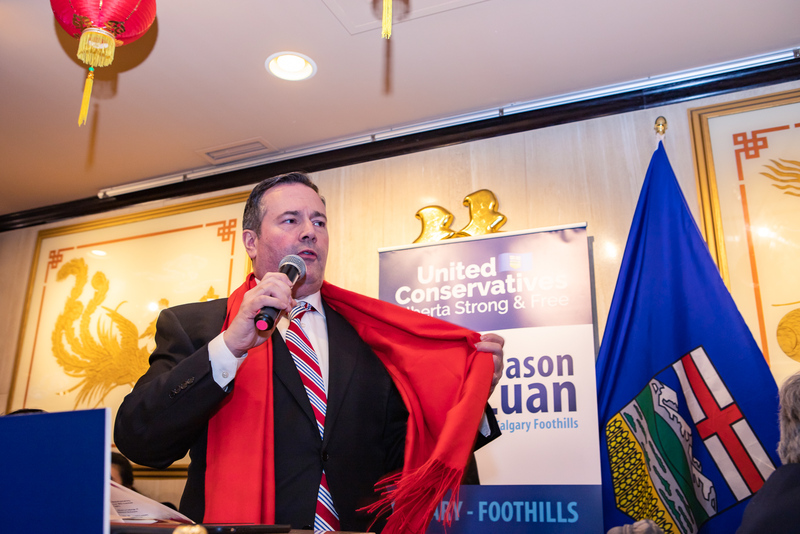 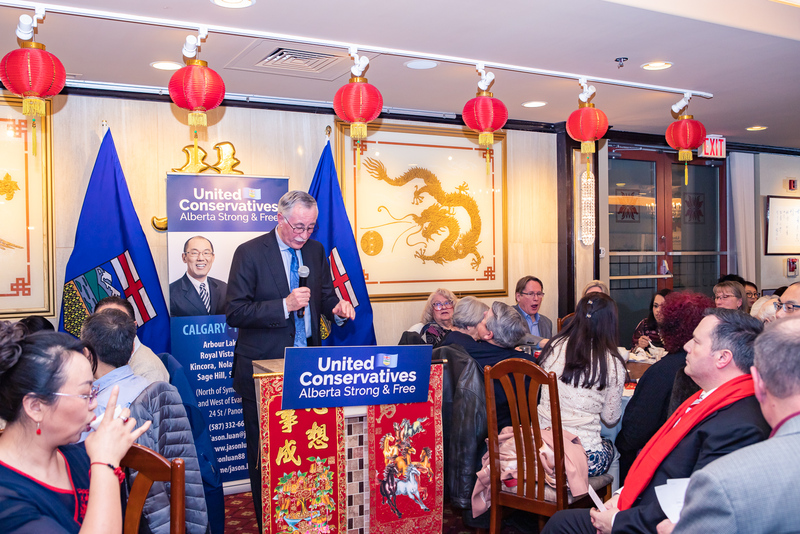 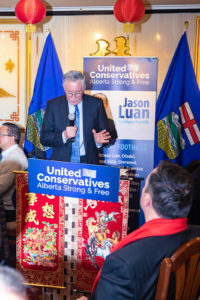 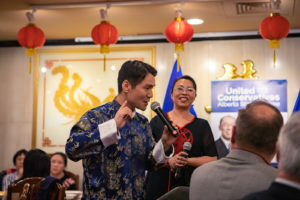 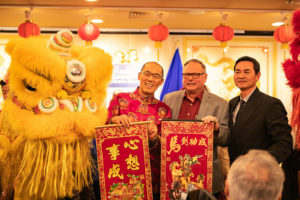 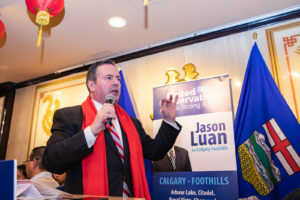 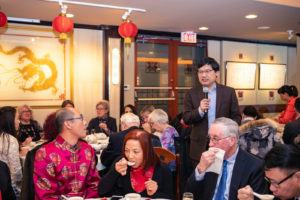 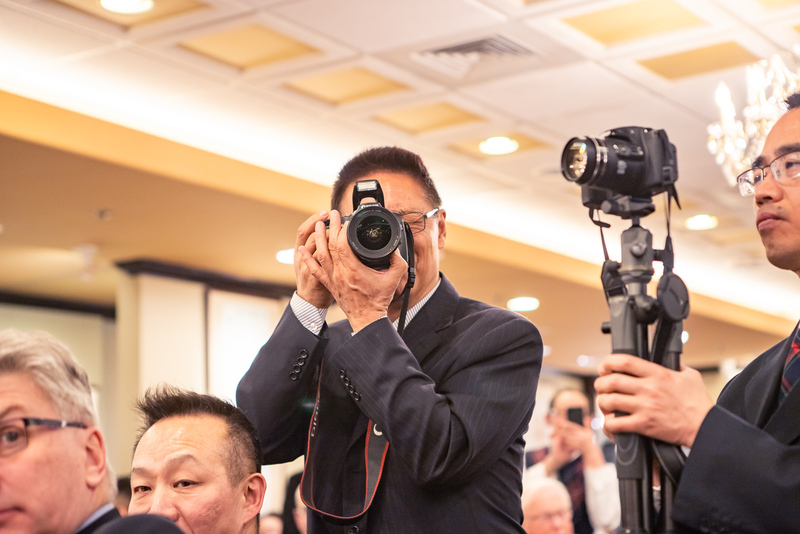 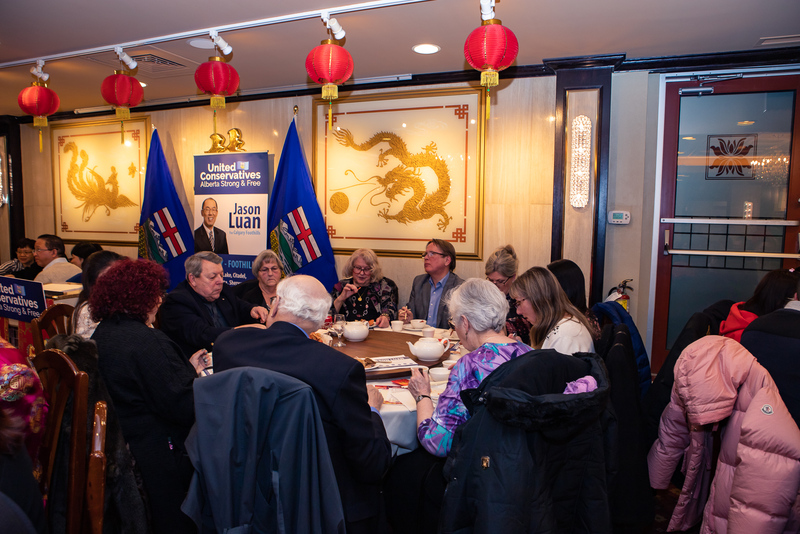 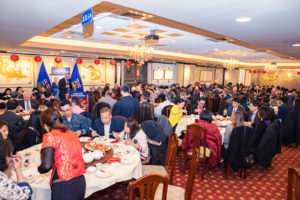 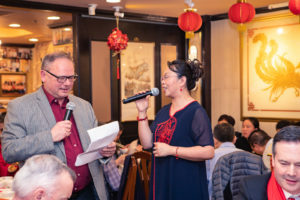 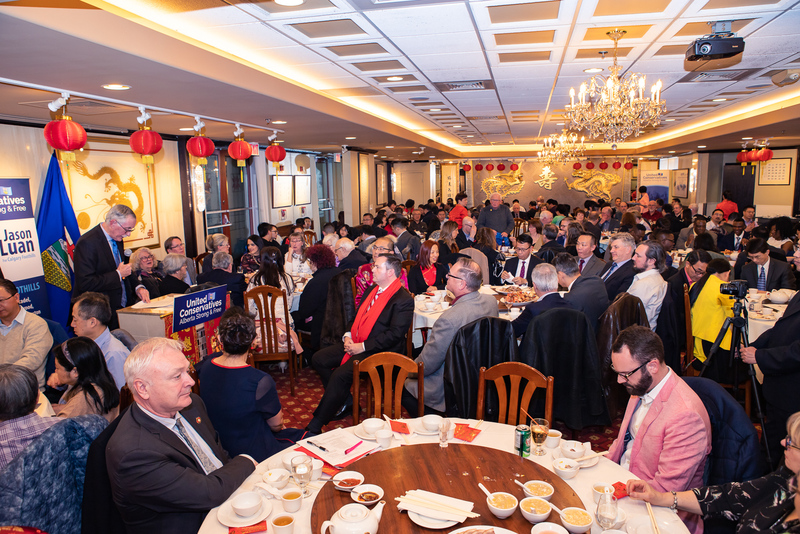 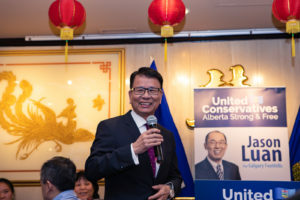 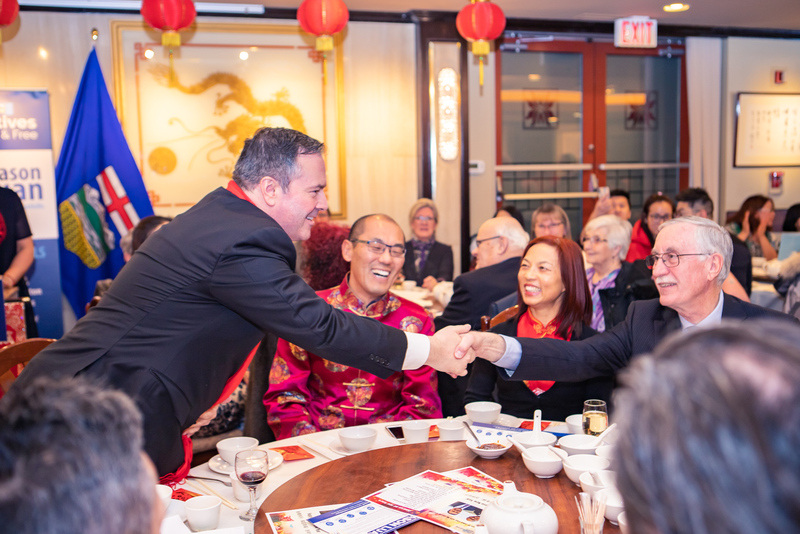 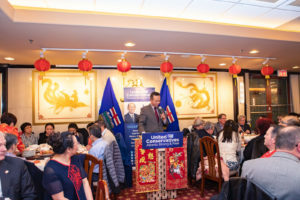 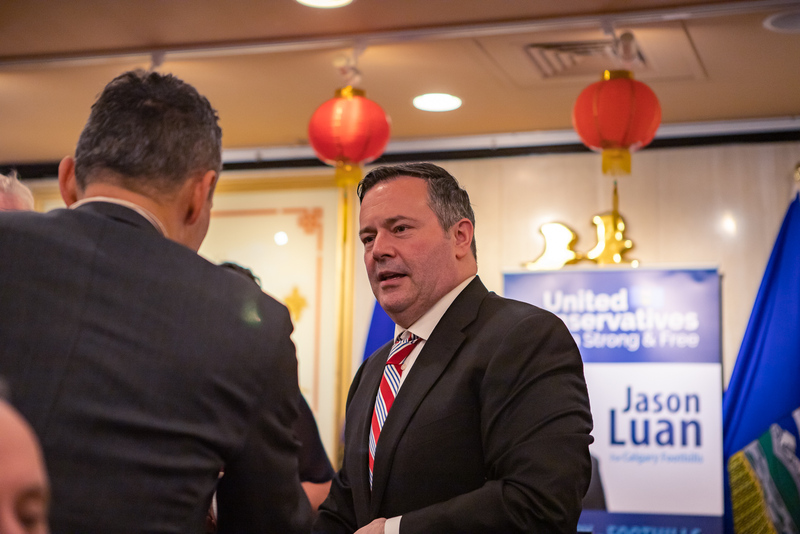 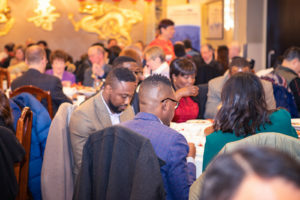 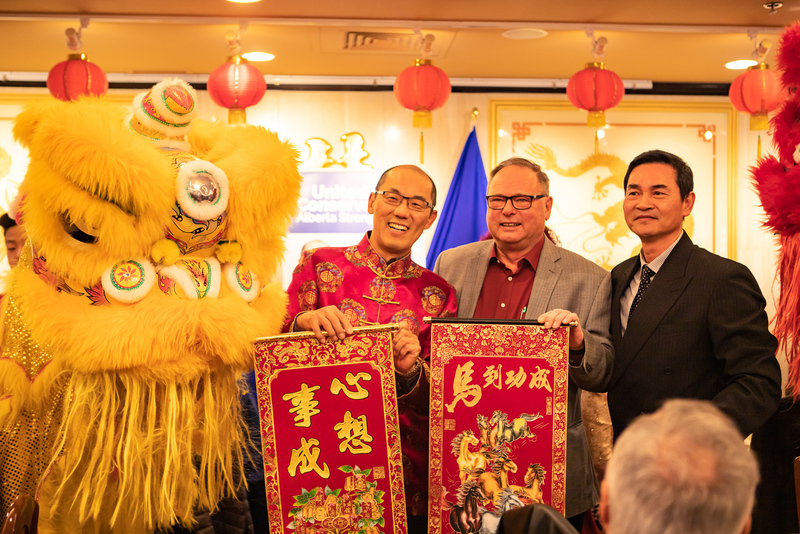 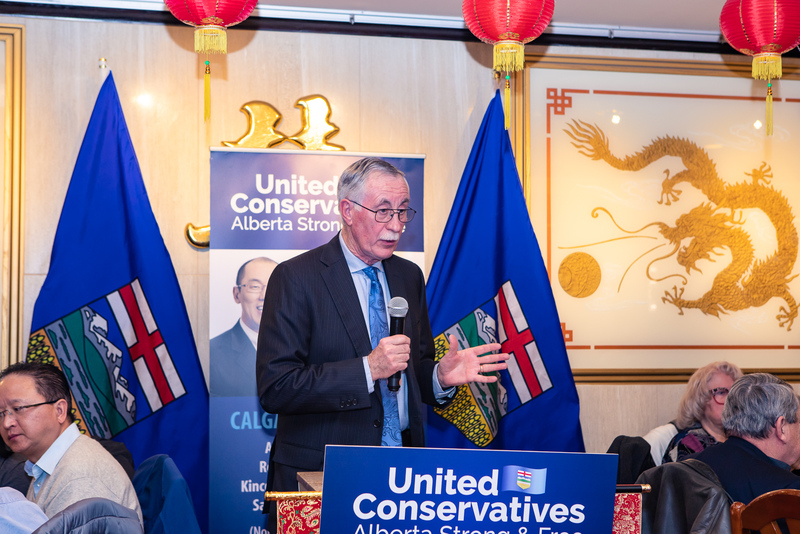 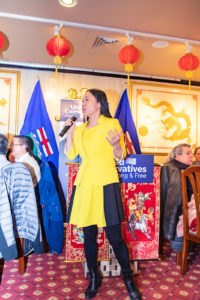 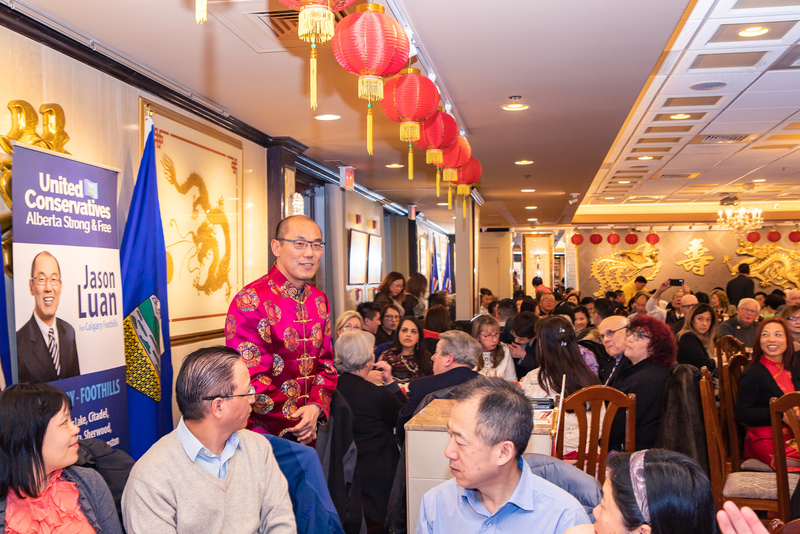 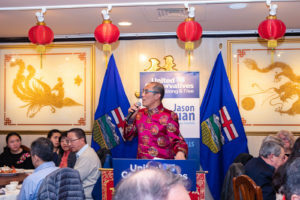 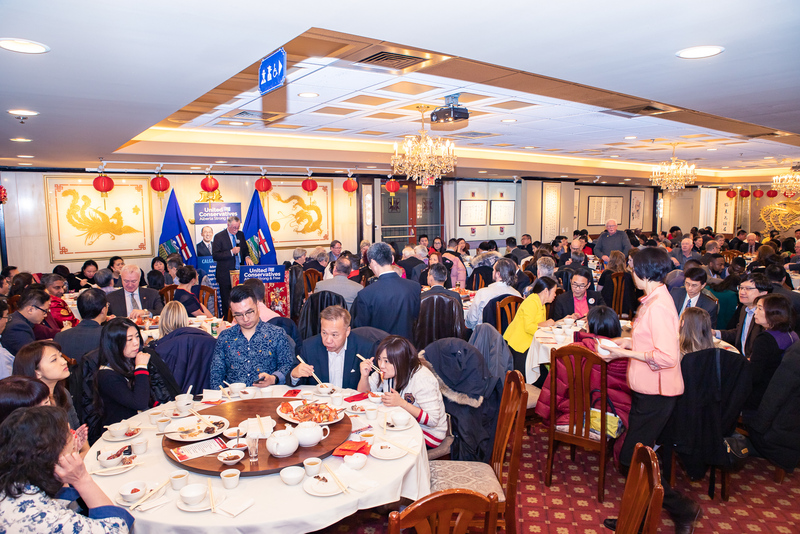 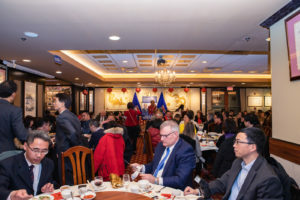 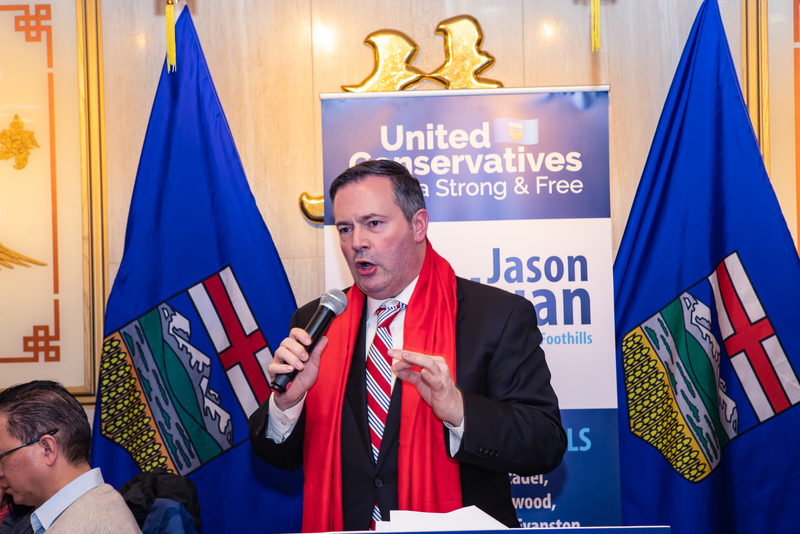 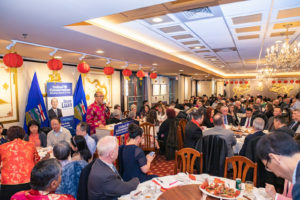 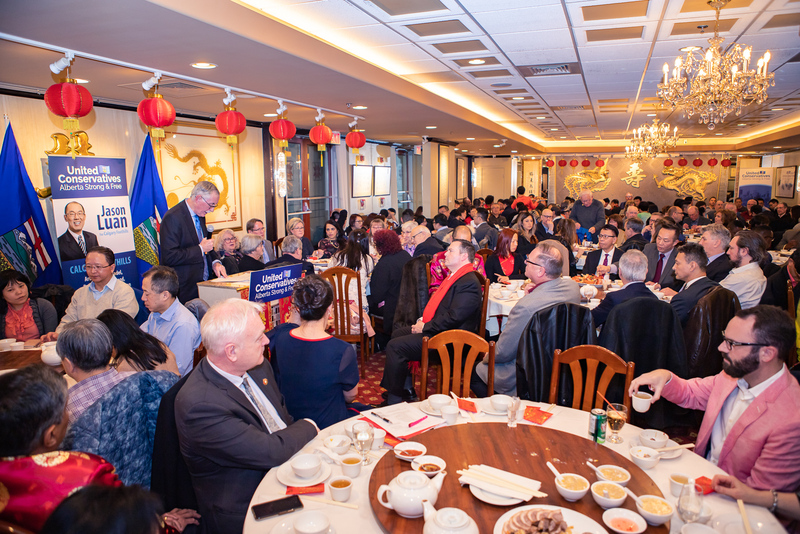 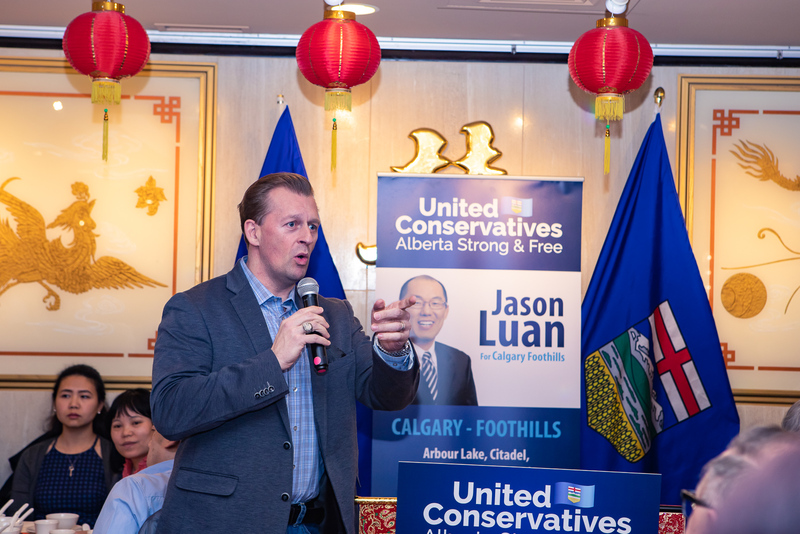 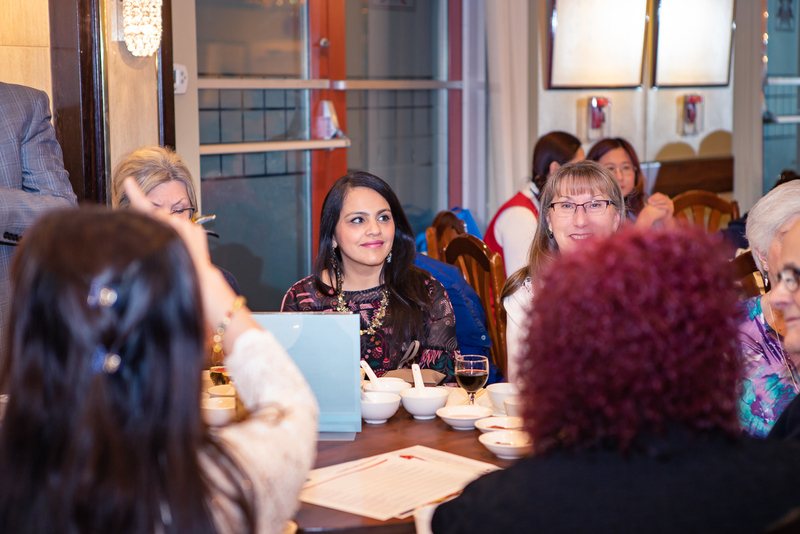 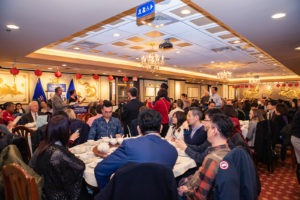 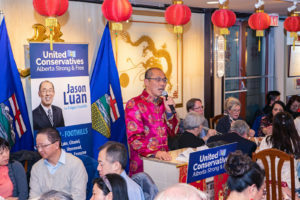 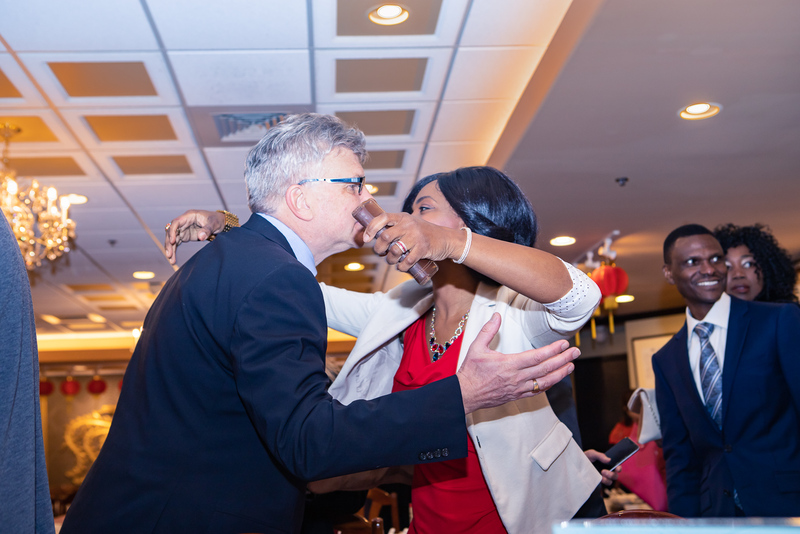 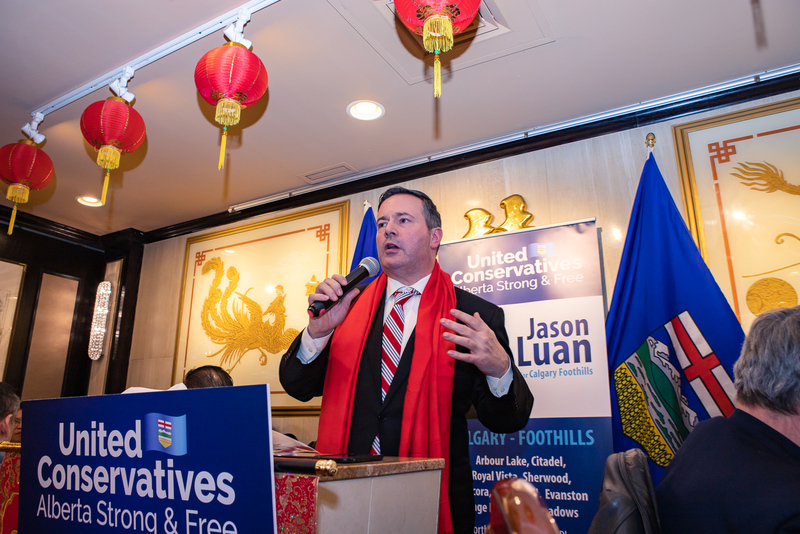 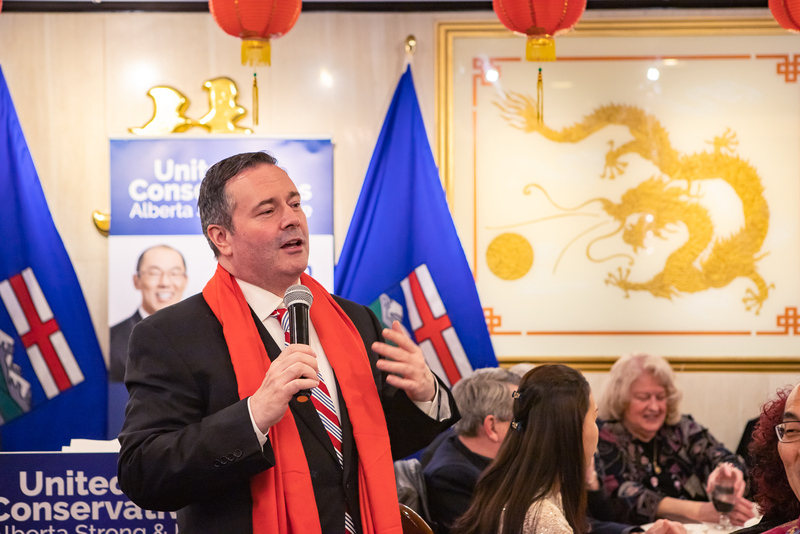 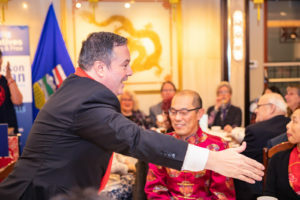 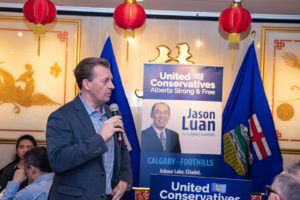 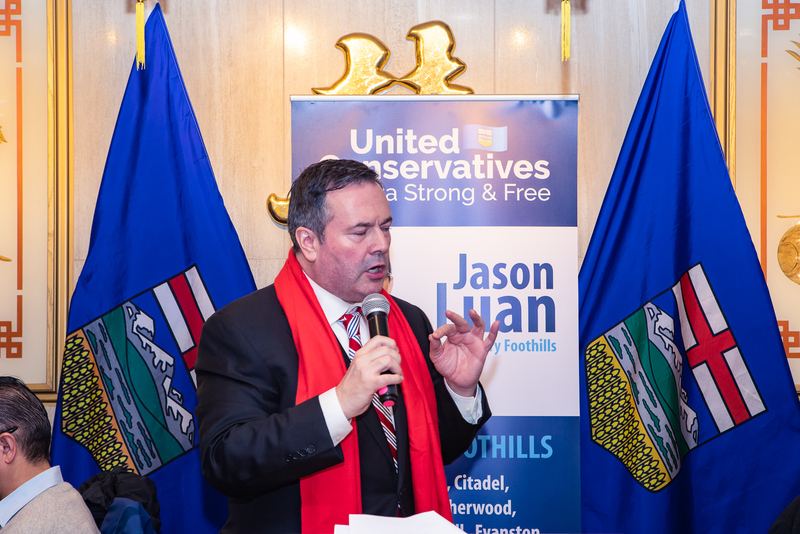 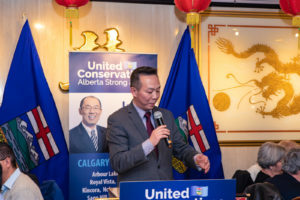 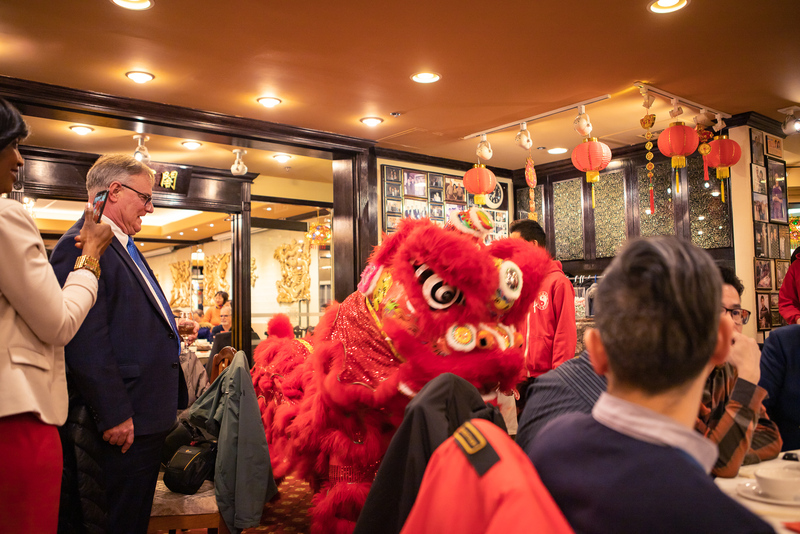 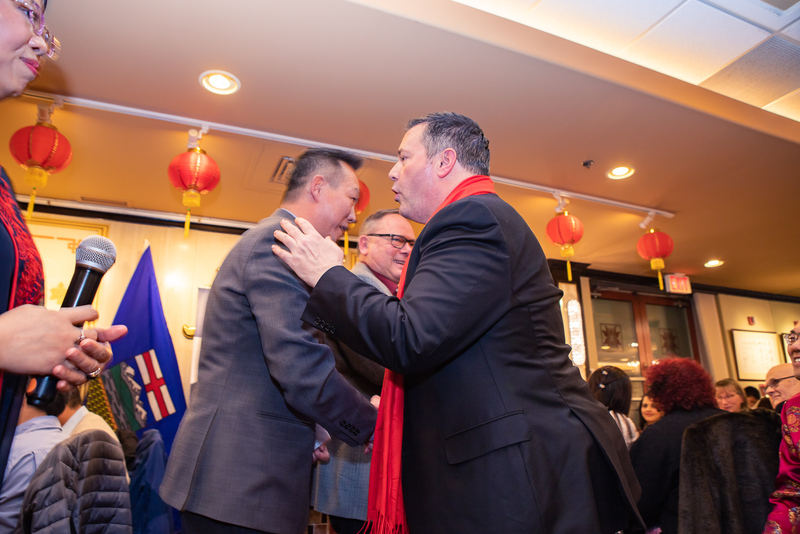 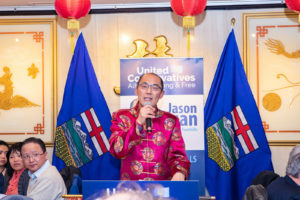 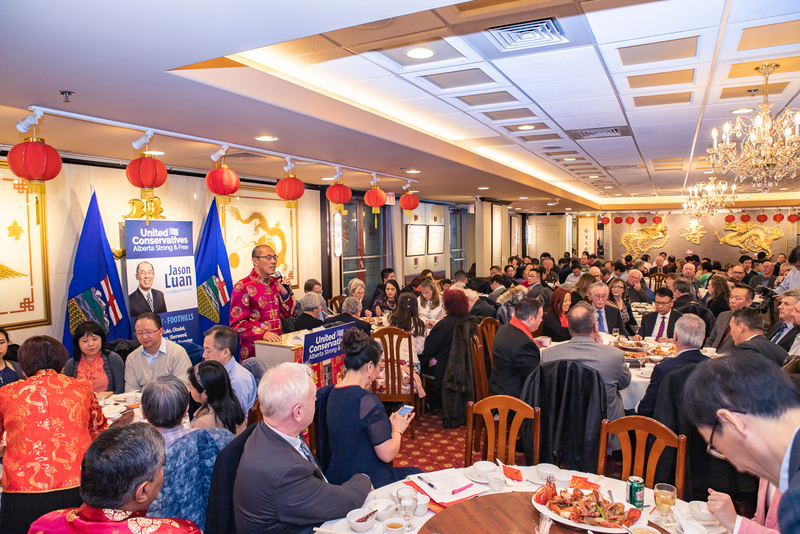 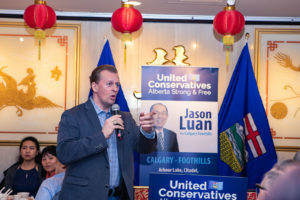 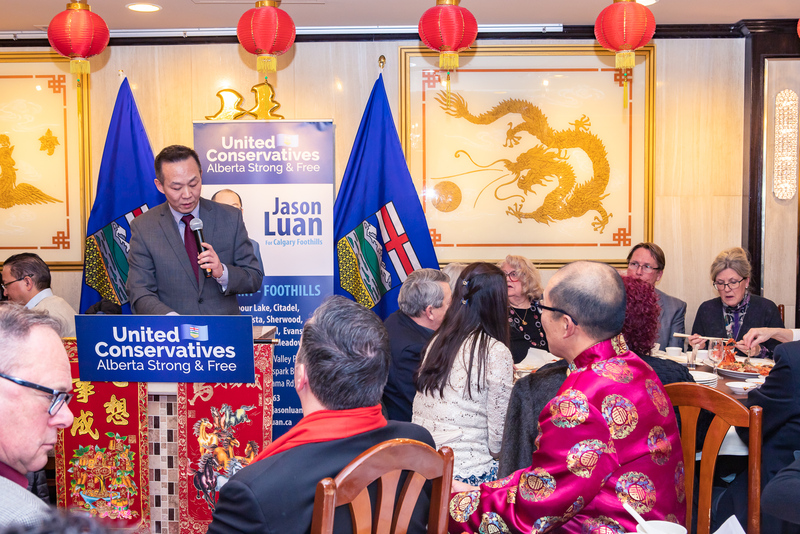 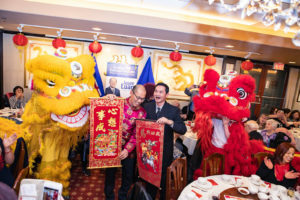 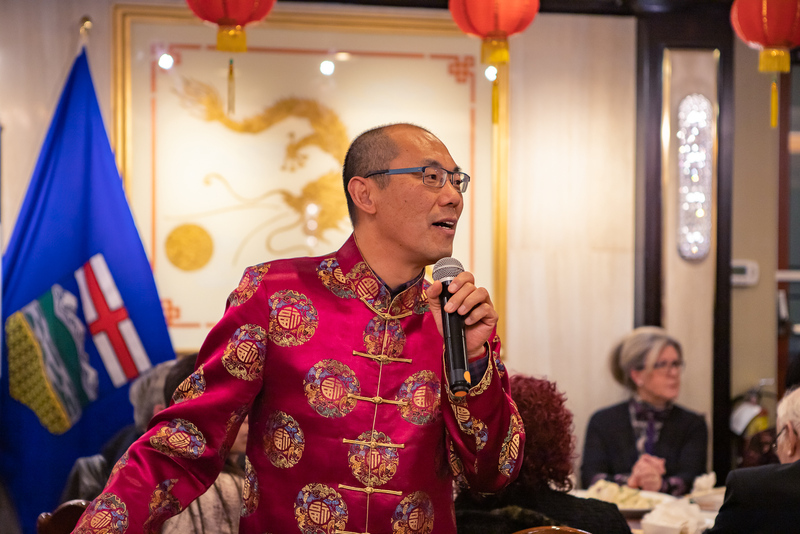 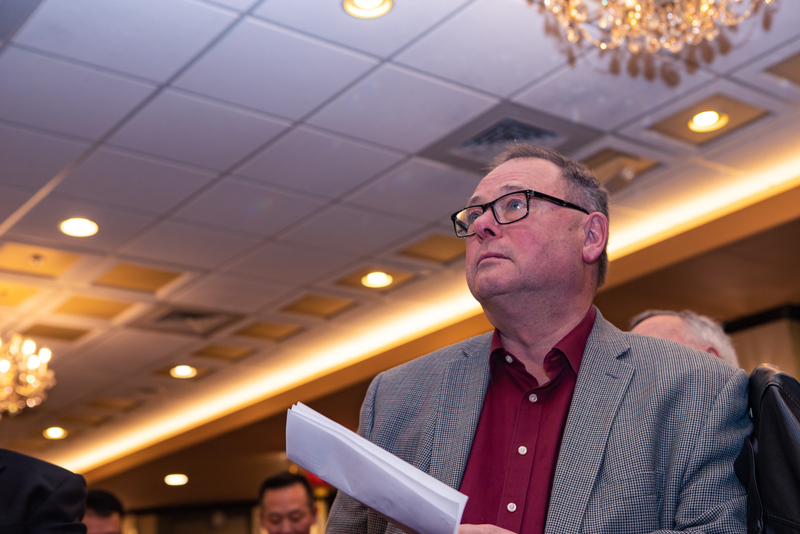 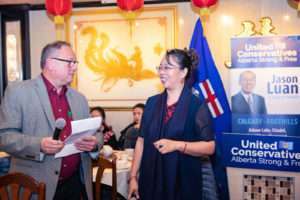 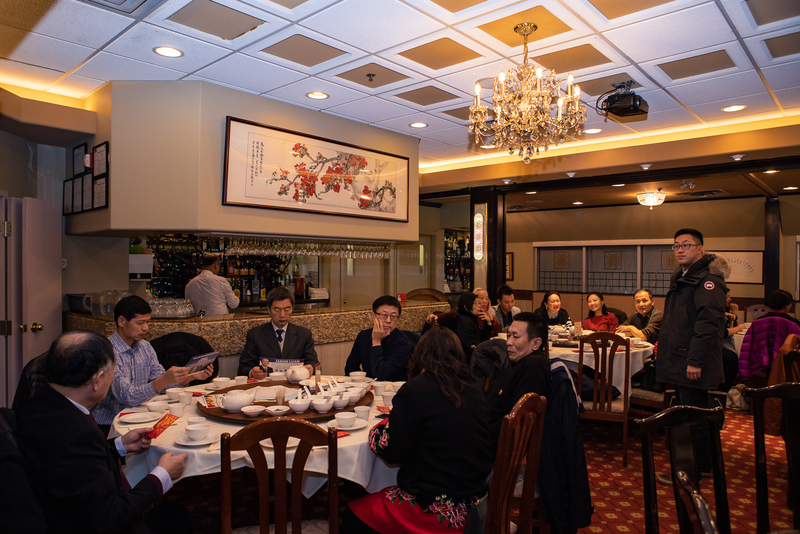 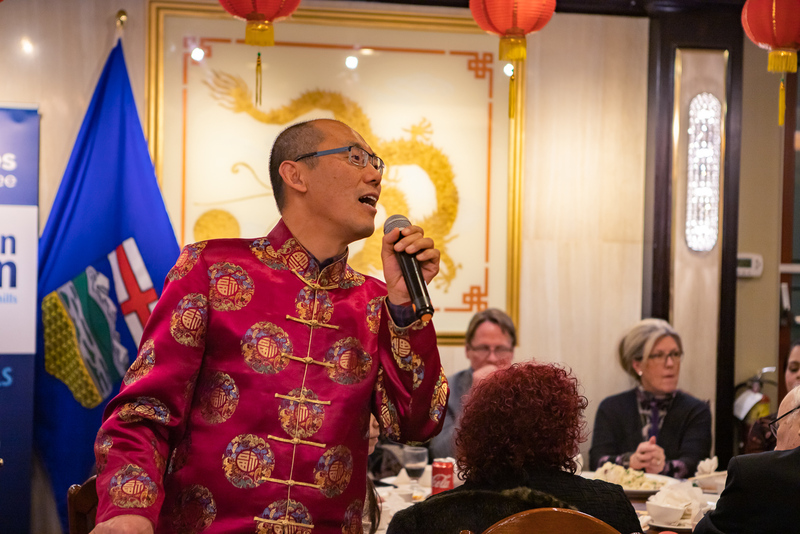 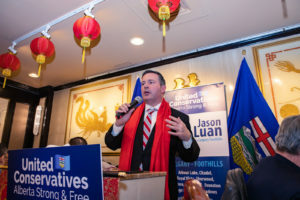 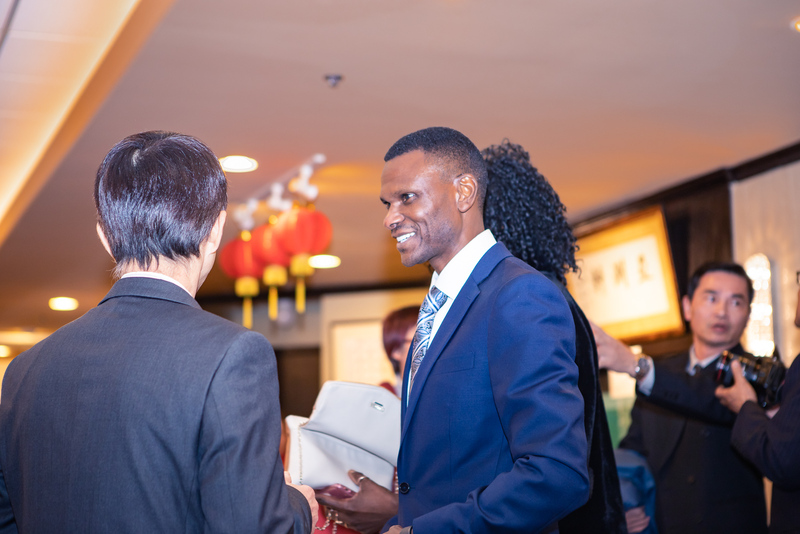 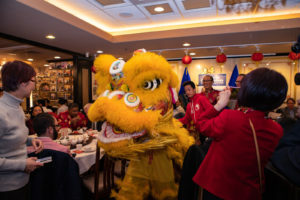 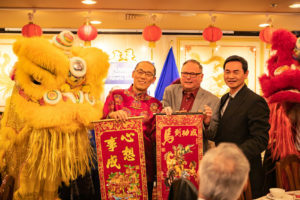 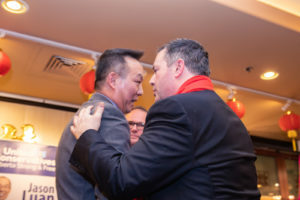 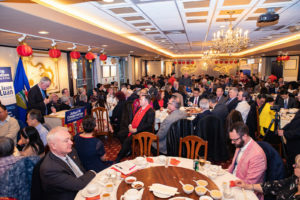 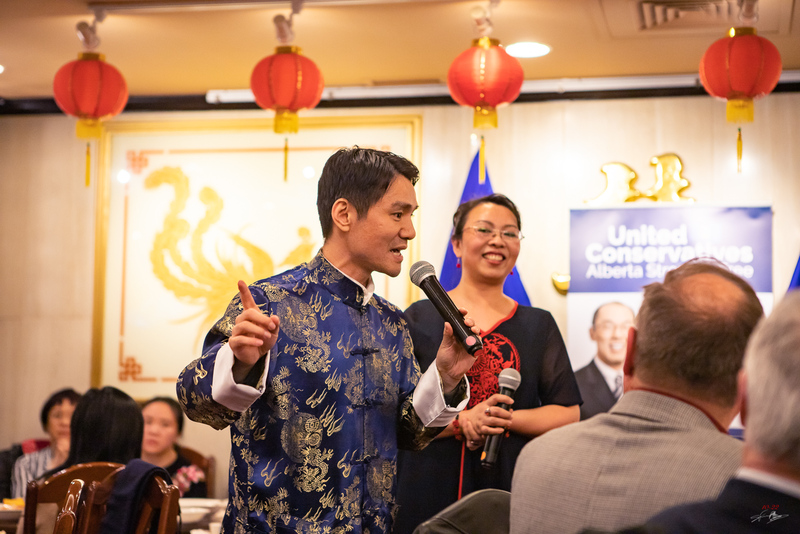 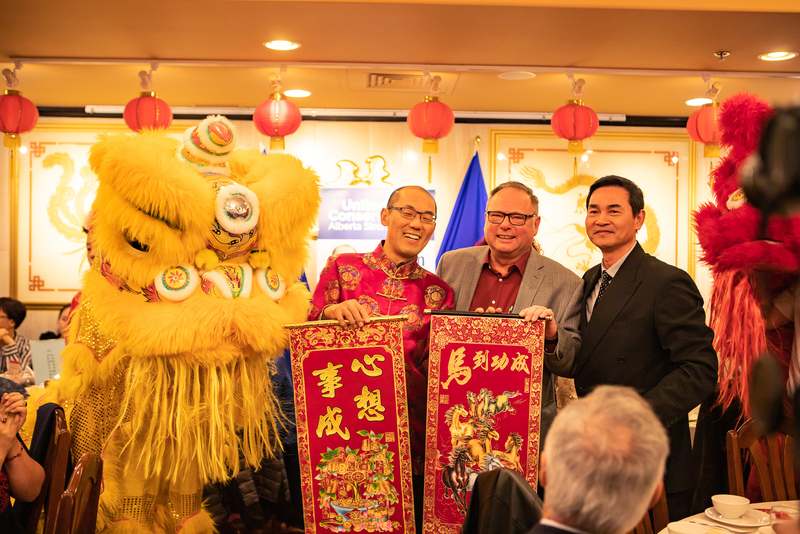 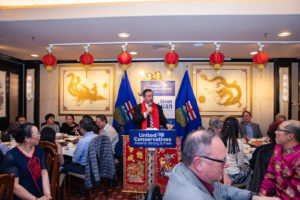 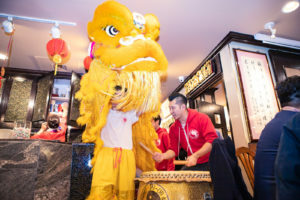 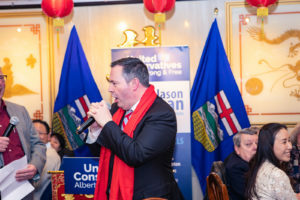 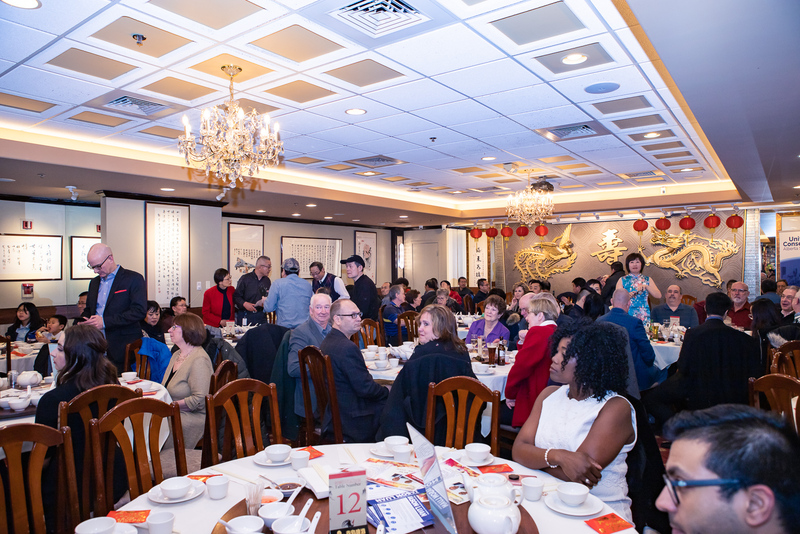 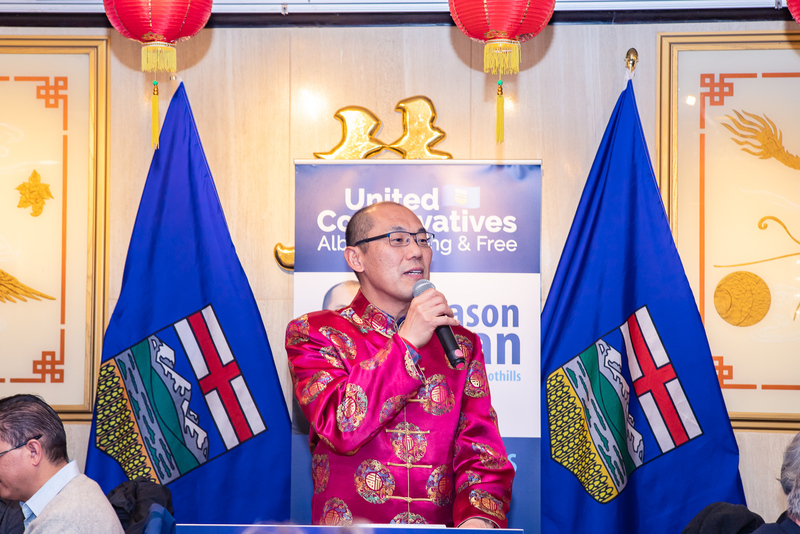 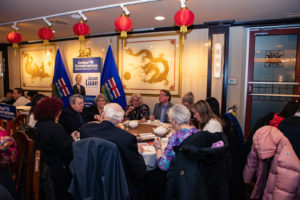 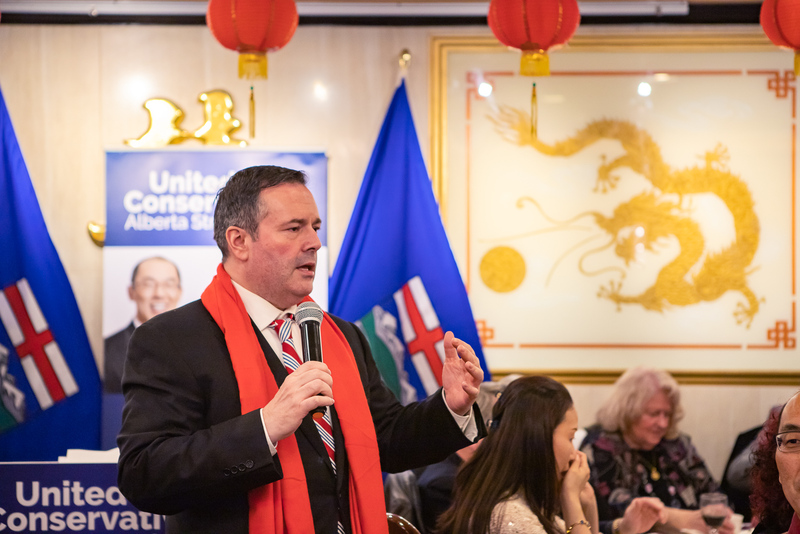 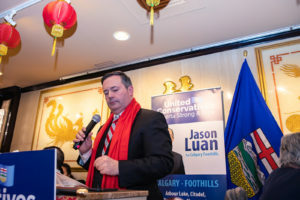 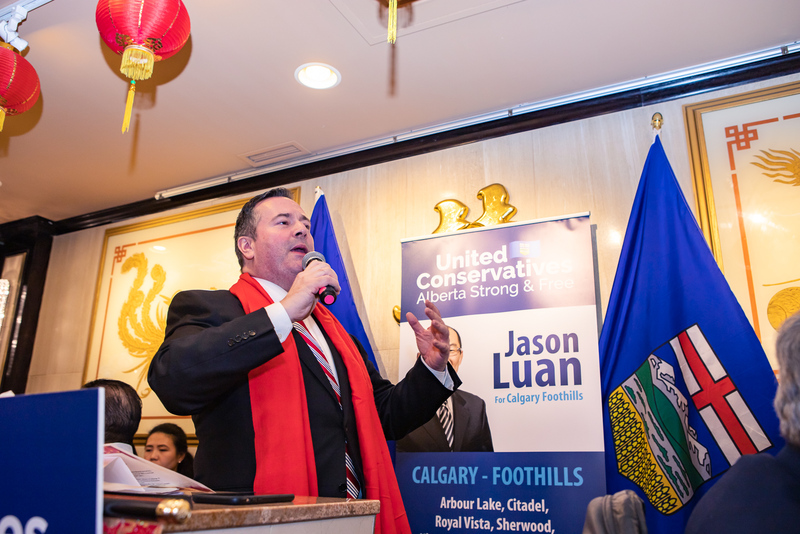 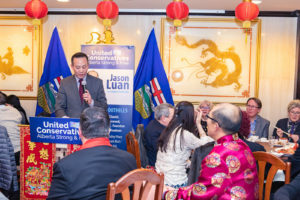 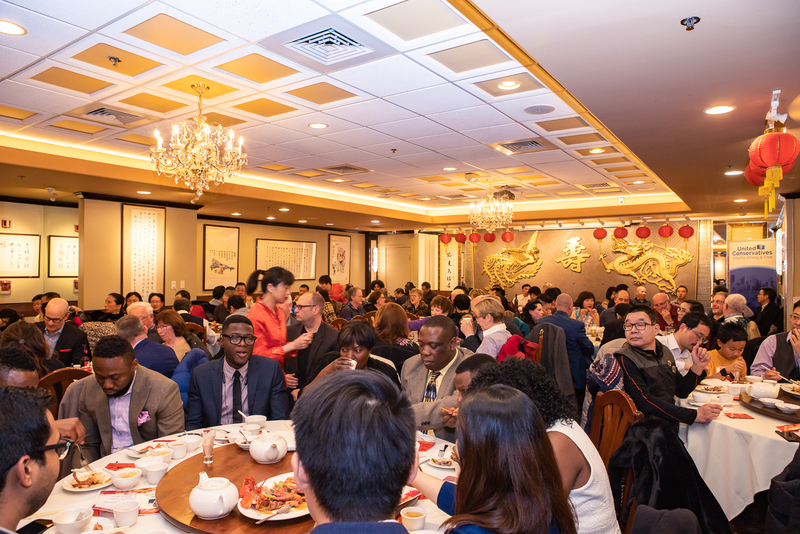 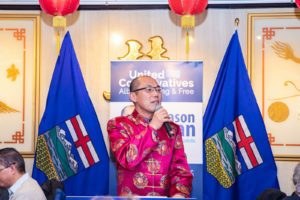 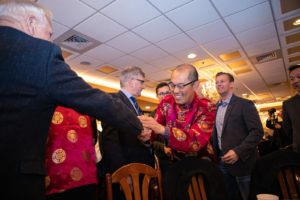 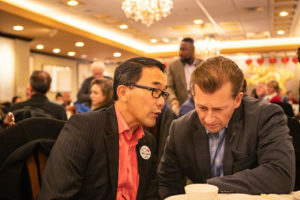 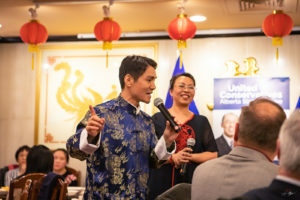 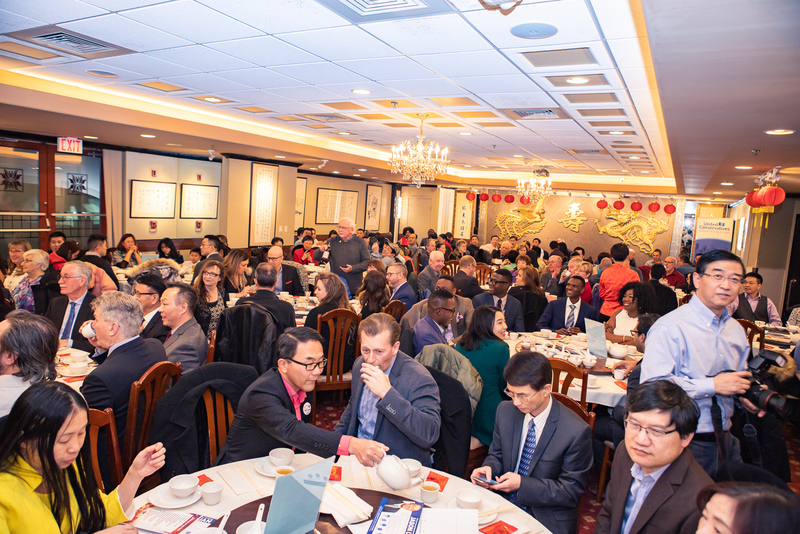 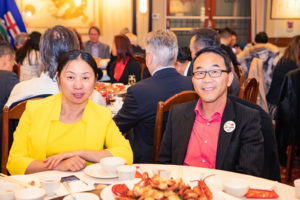 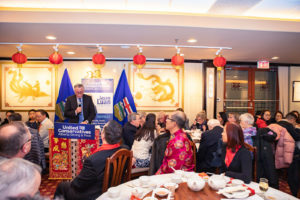 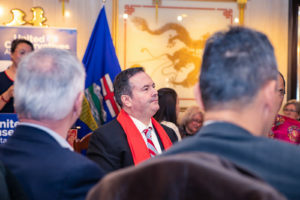 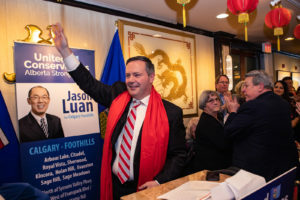 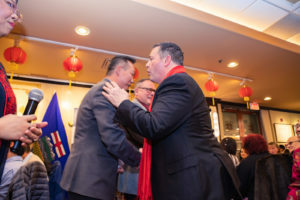 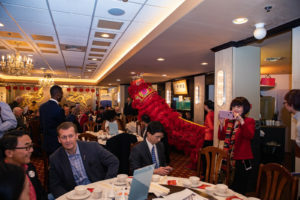 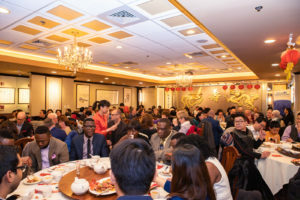 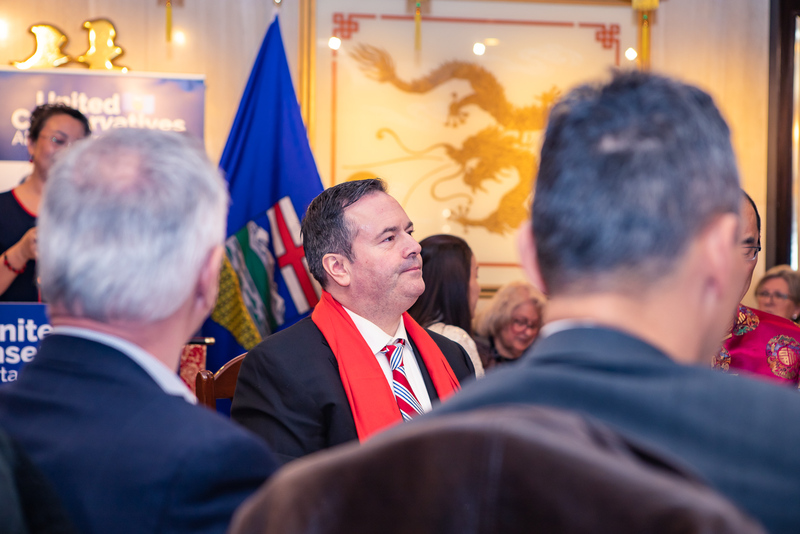 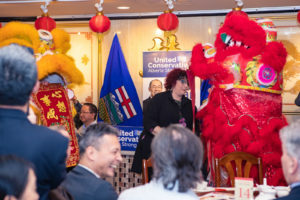 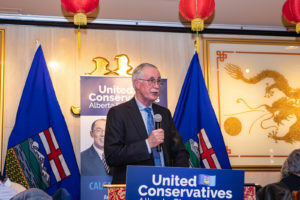 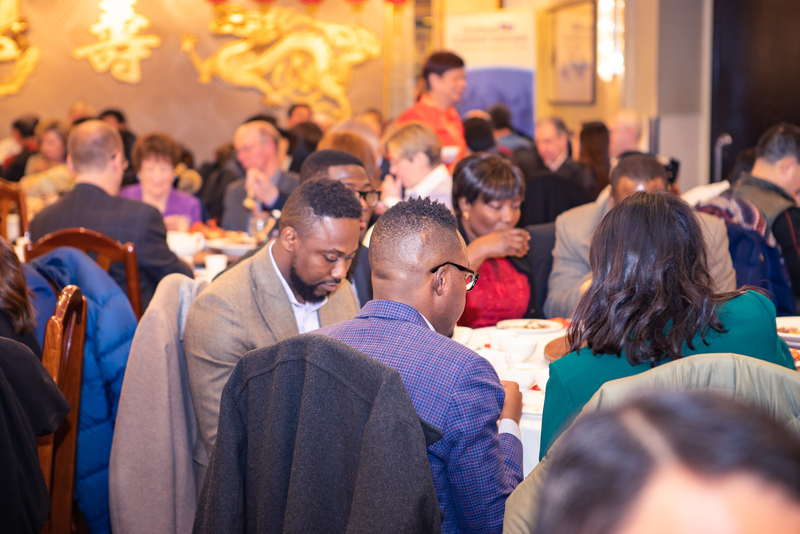 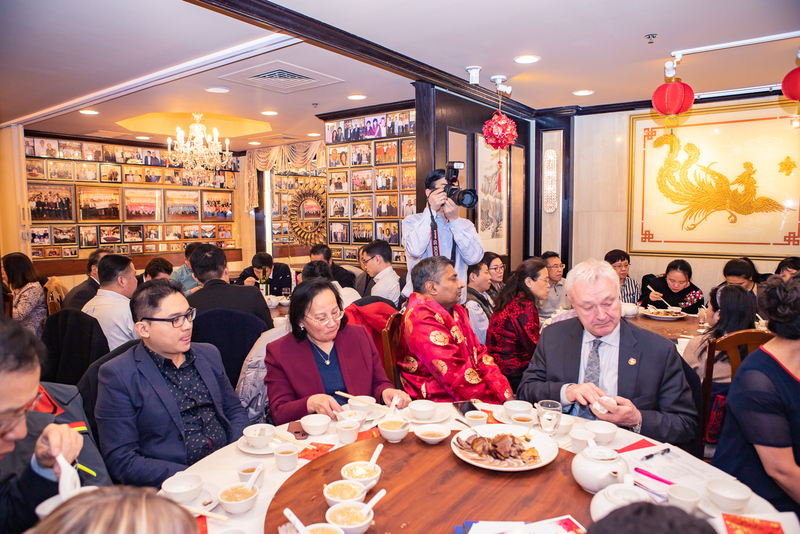 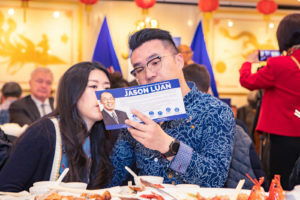 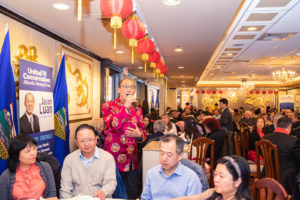 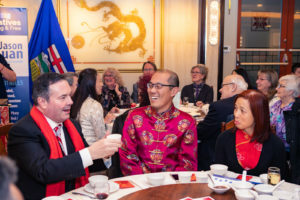 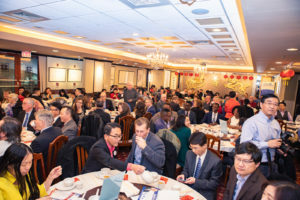 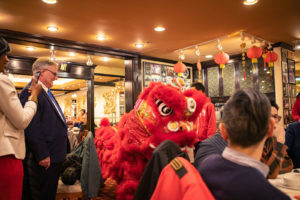 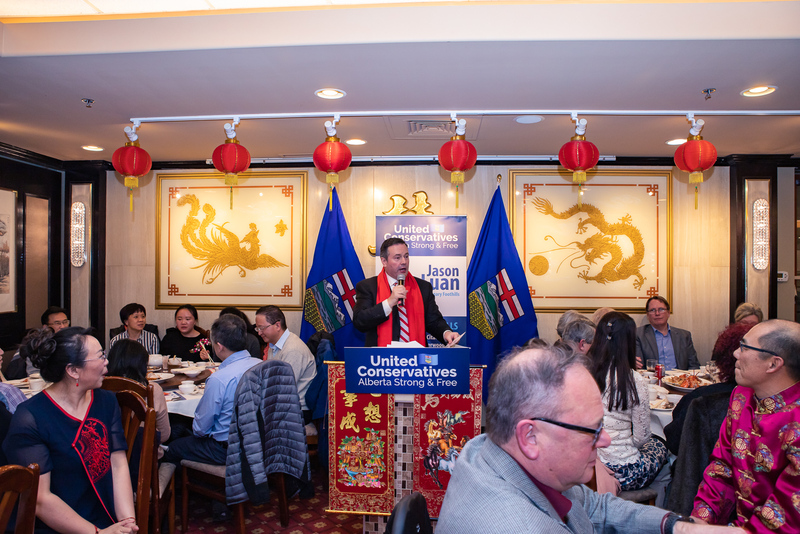 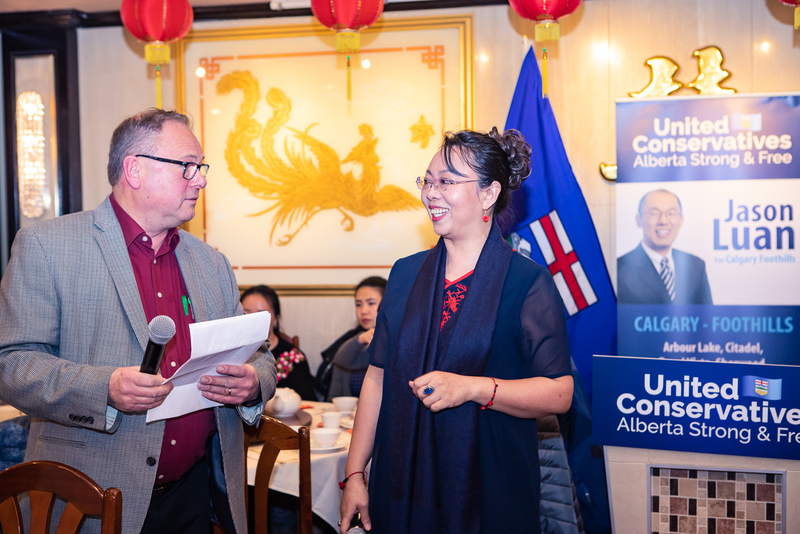 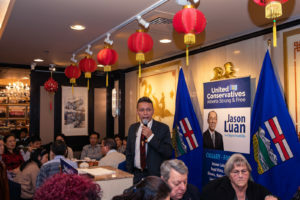 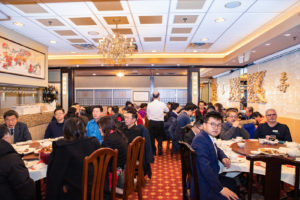 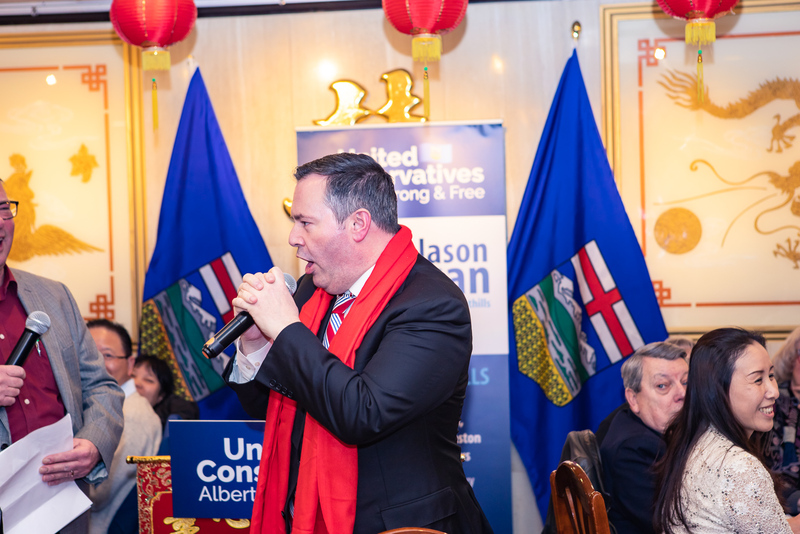 Hundreds of supporters gathered with Jason Luan, UCP candidate for Calgary Foothills, for a special celebration of Chinese New Year on February 7, hosted at the Central Grand Restaurant. 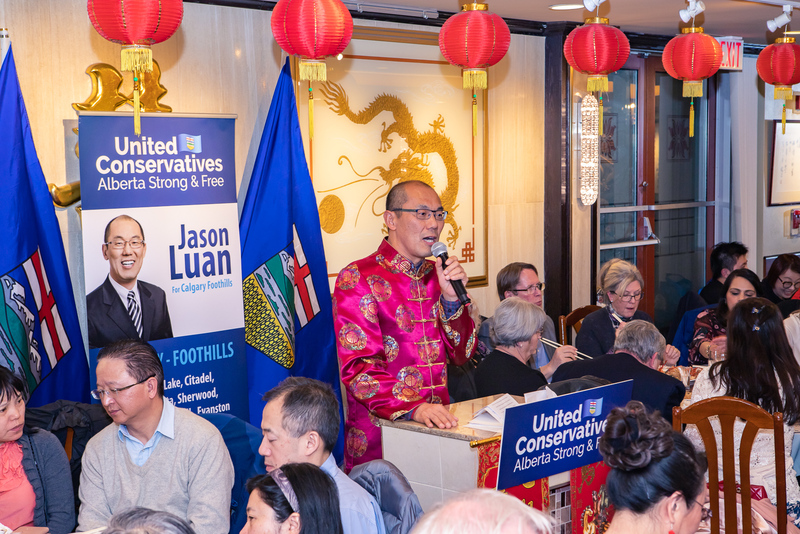 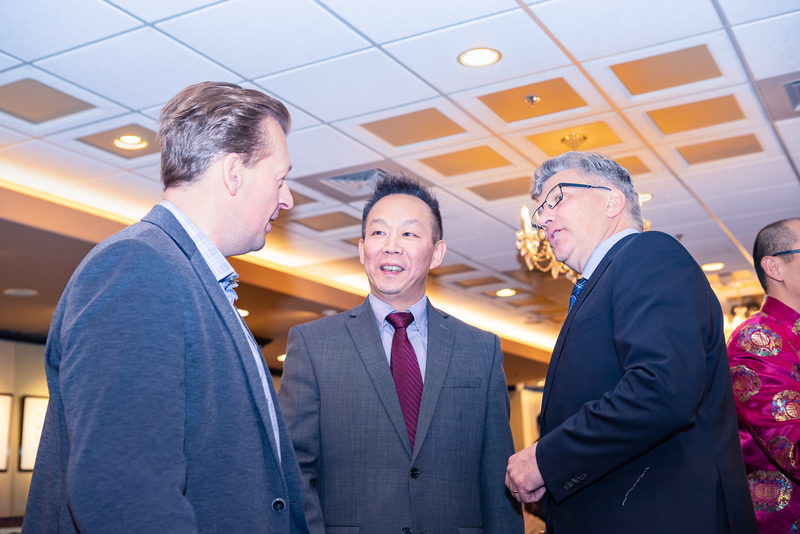 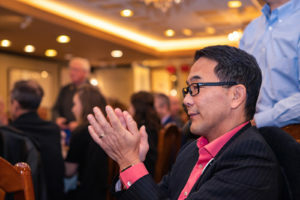 This sold out event showed how Jason Luan has built a strong team in Calgary Foothills, with diverse expertise ranging from business, trade, arts, non-profit & public services. 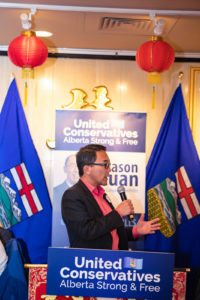 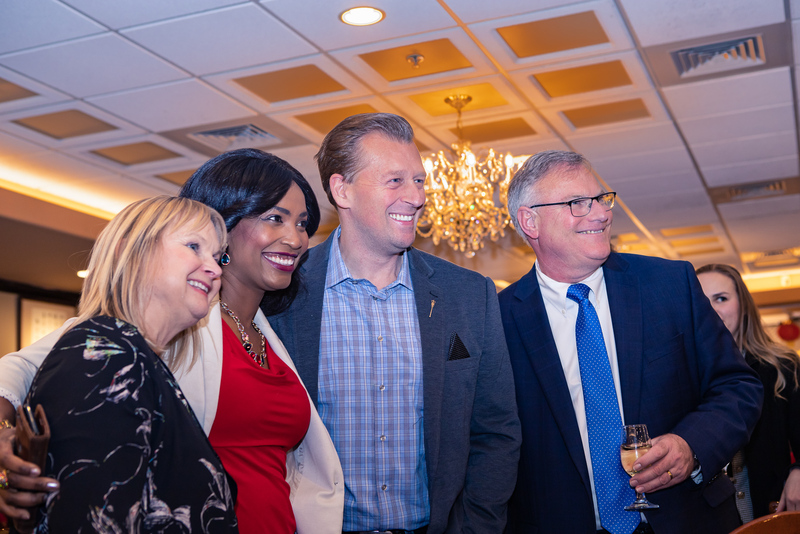 Special VIP guests and business leaders spoke of Jason’s strong commitment to his constituency and its people along with his work ethic and previous experience as an MLA. 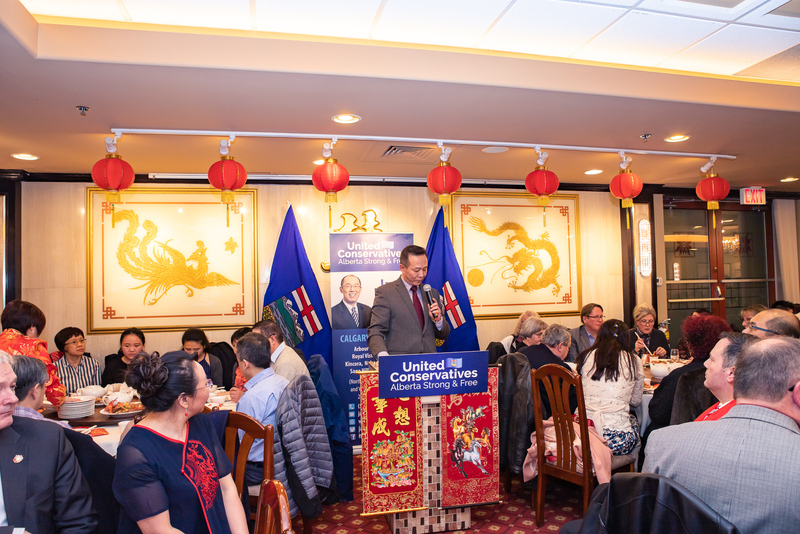 His experience in the legislature will assist the UCP to get the Alberta economy back on track and get Albertans back to work. 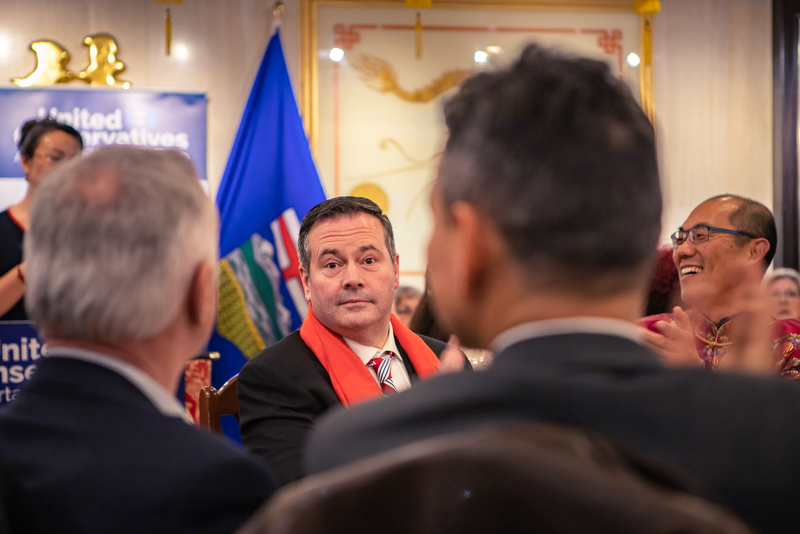 The Honourable Jason Kenney spoke of how he will, if elected to be our next Premier, ensure the restoration of the Alberta advantage by repealing the carbon tax, getting pipelines built and getting Albertans back to work by growing the economy. 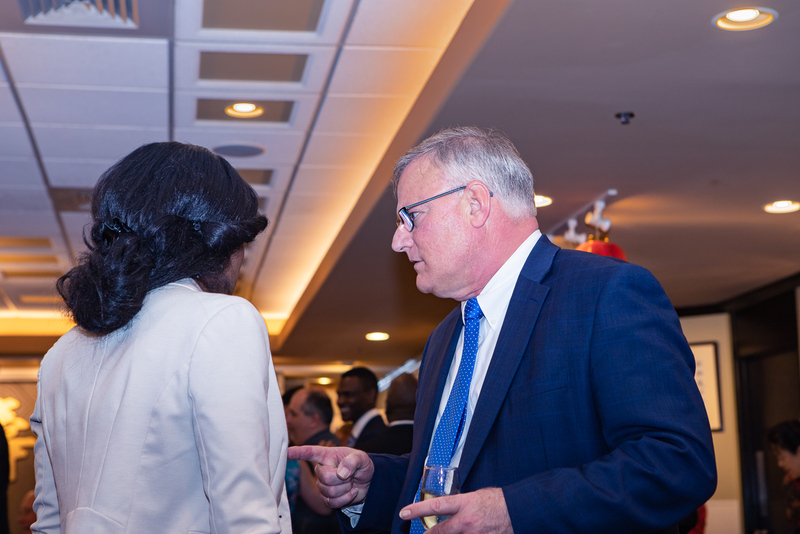 Those in attendance heard that the UCP is already preparing for this spring election. 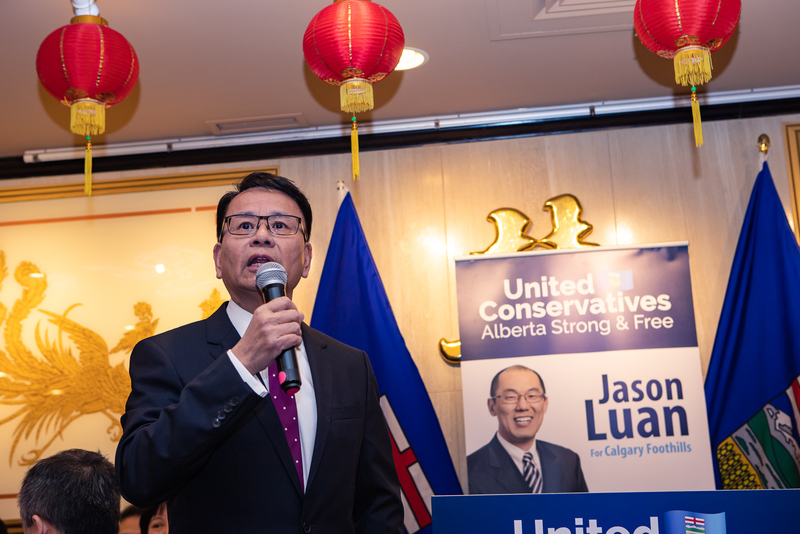 Jason Luan is committed to winning the support of residents in Calgary Foothills. 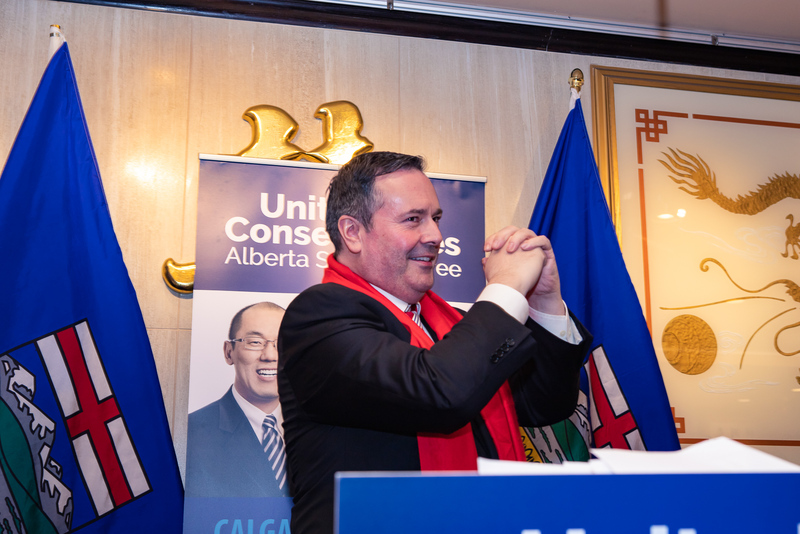 His large team of volunteers are already working hard by working through the incredibly successful unification of parties under Jason Kenney, winning the nomination and breaking fundraising goals. 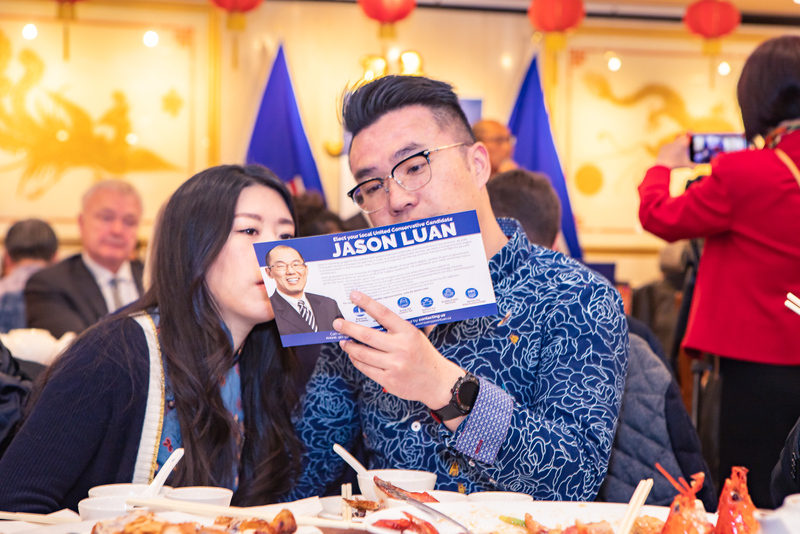 Please watch for Jason and his team of volunteers out door knocking or at community events over the coming weeks, http://www.jasonluan.ca or contact jason.luan@jasonluan.ca for information including ways you can get involved as a volunteer, donor or by hosting a lawn sign.